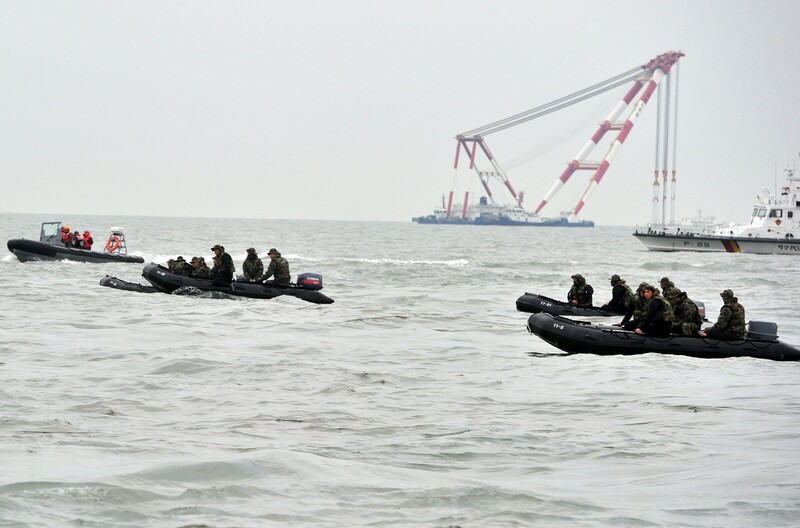 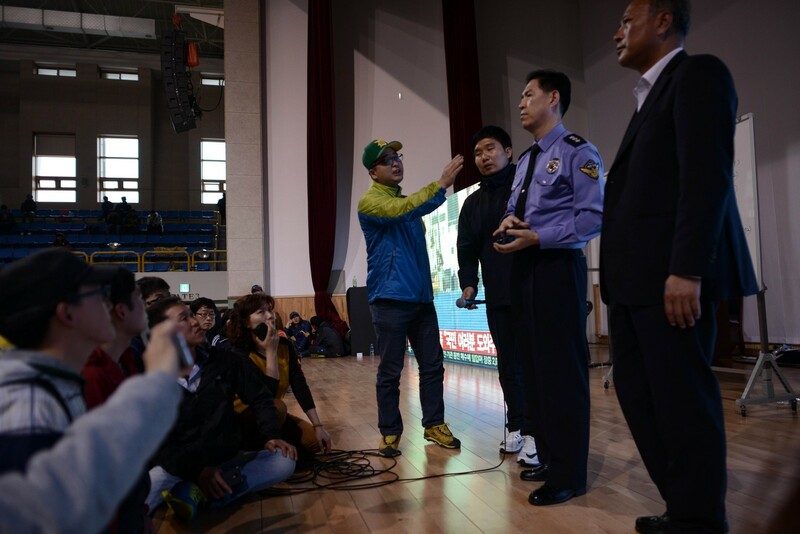 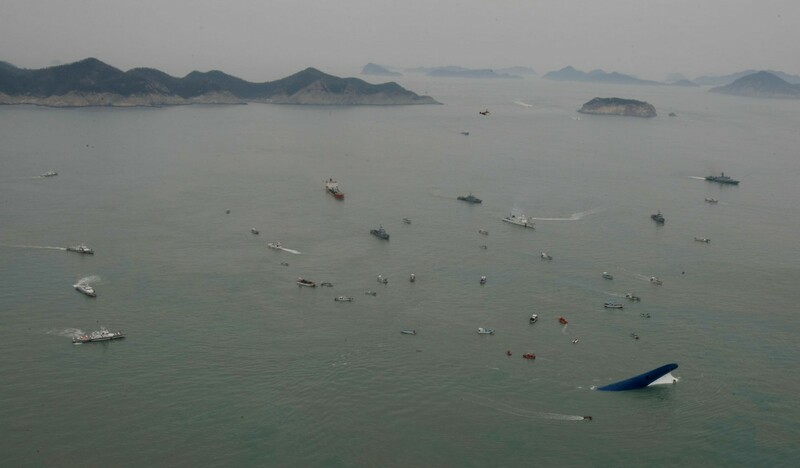 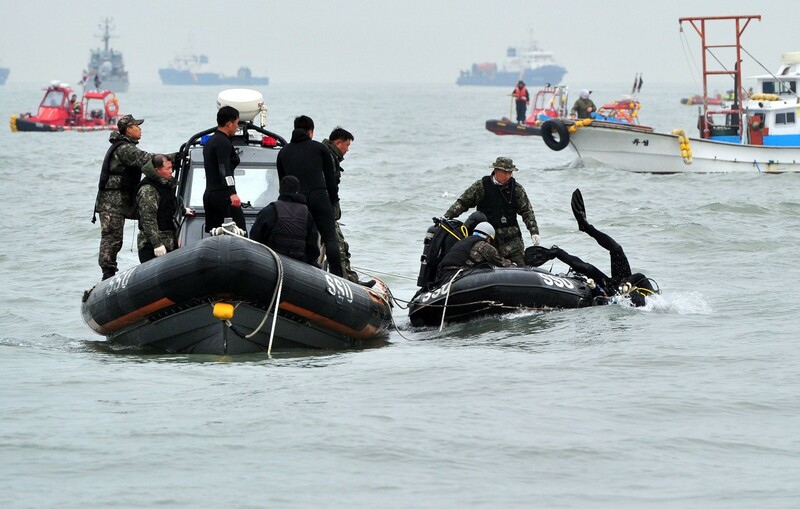 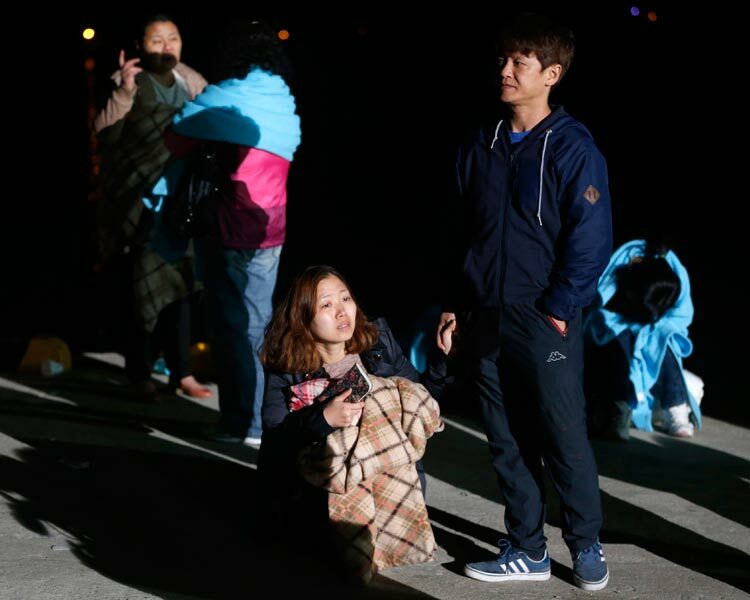 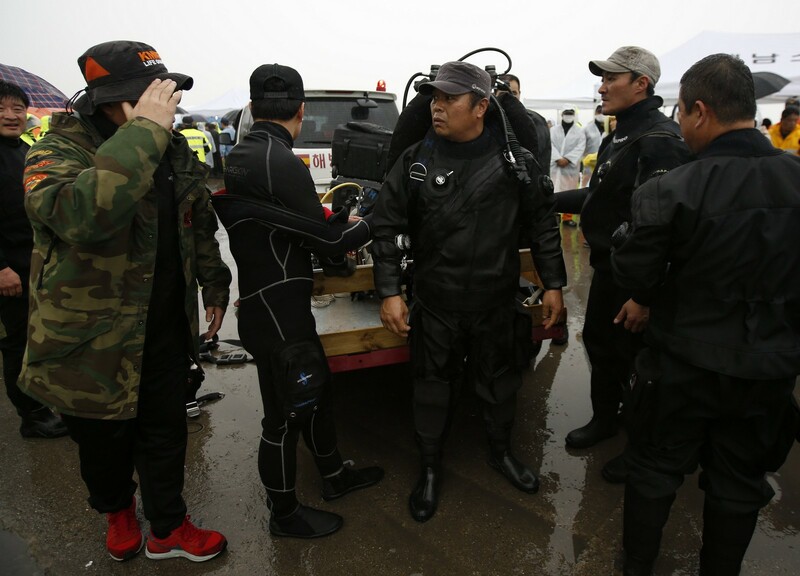 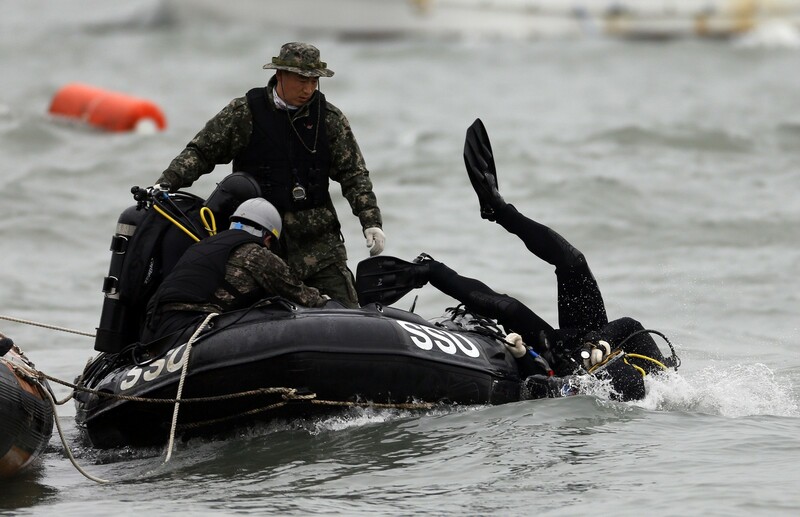 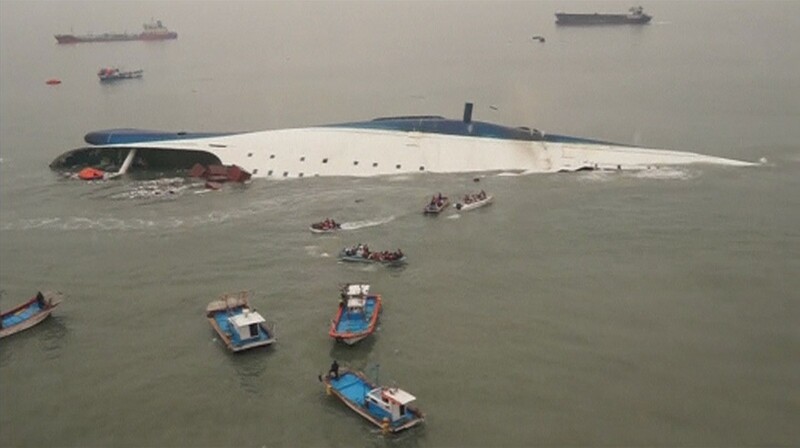 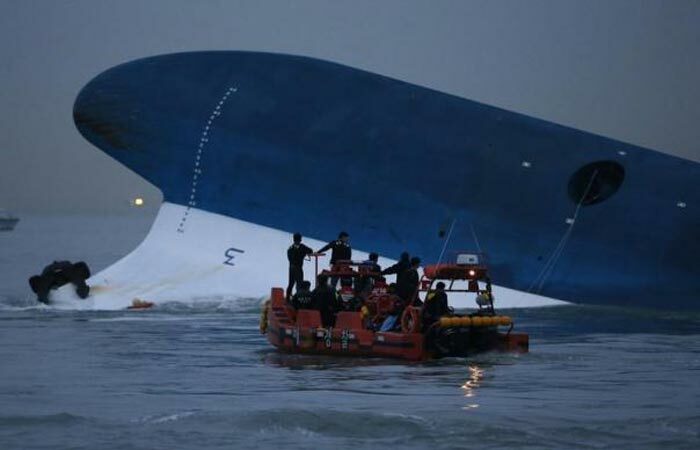 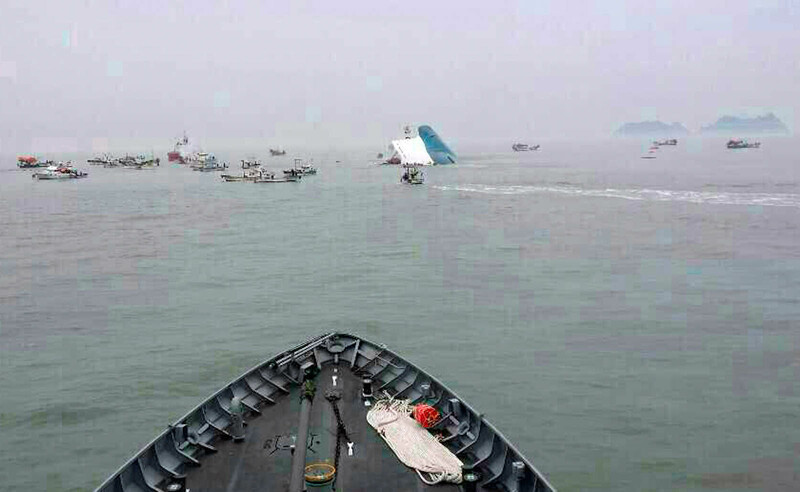 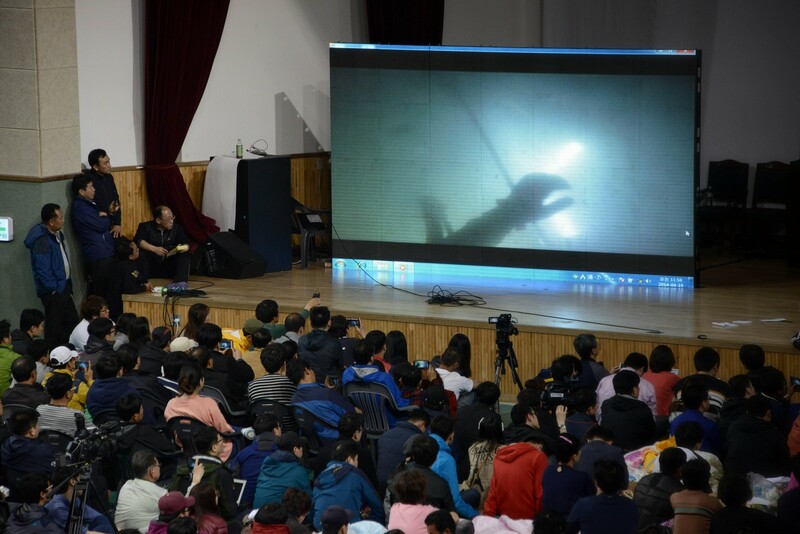 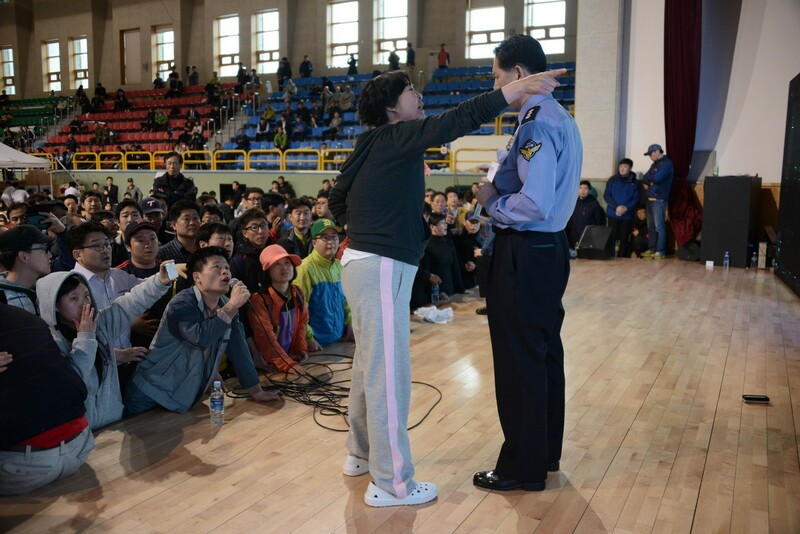 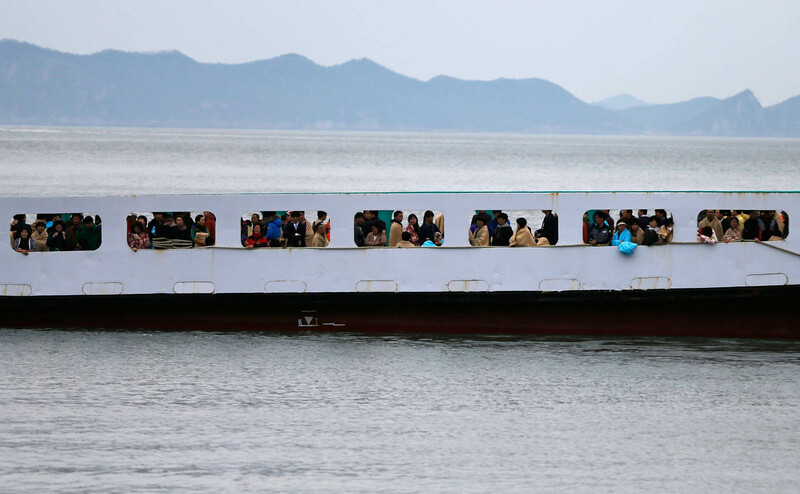 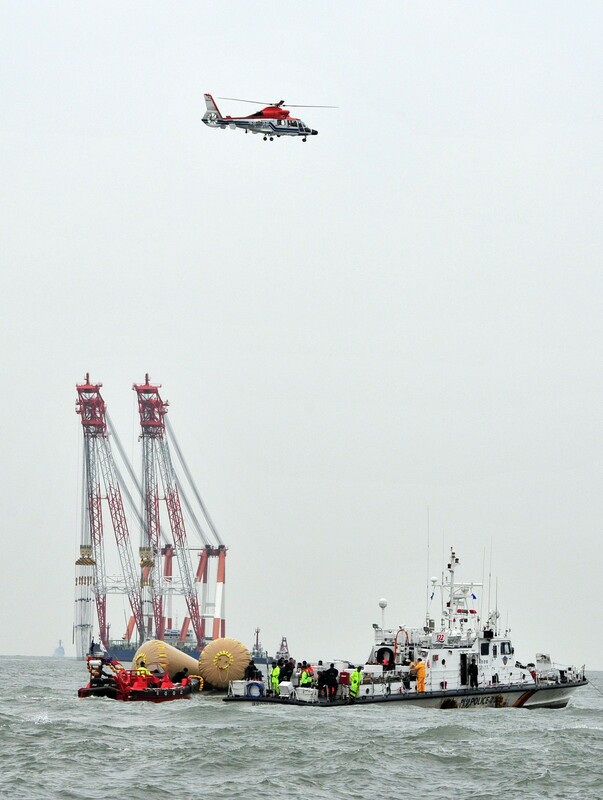 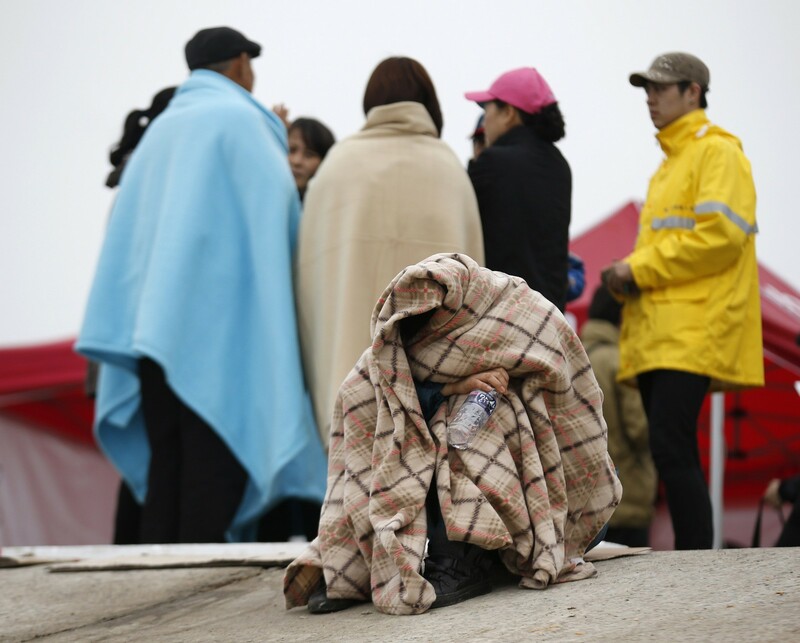 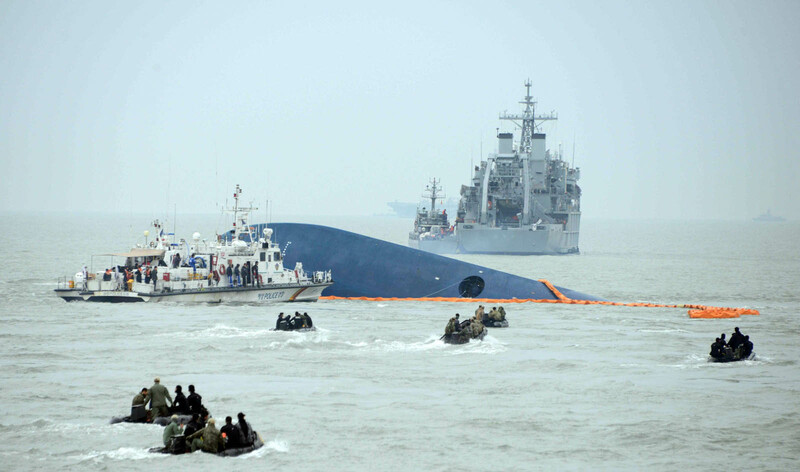 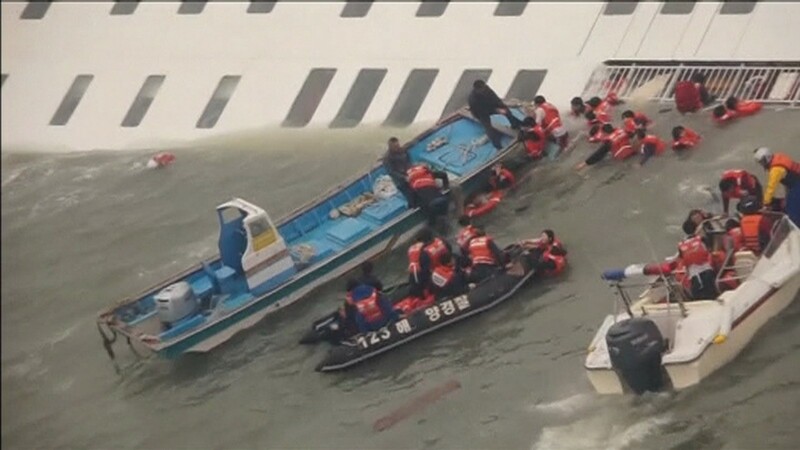 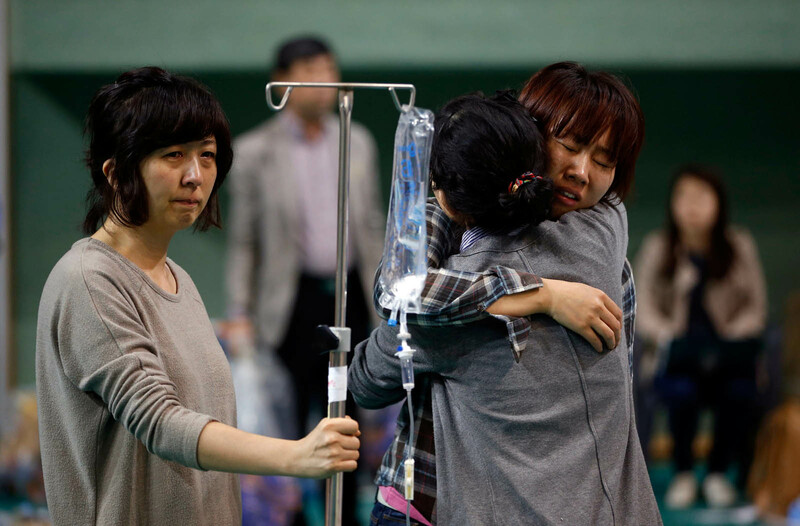 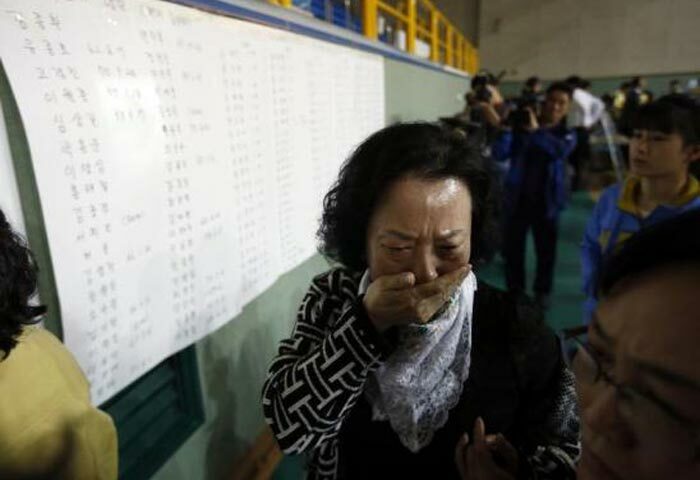 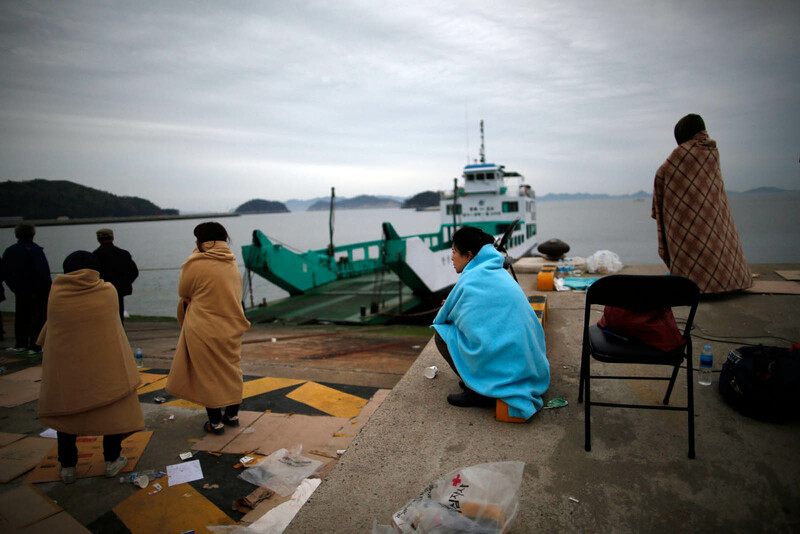 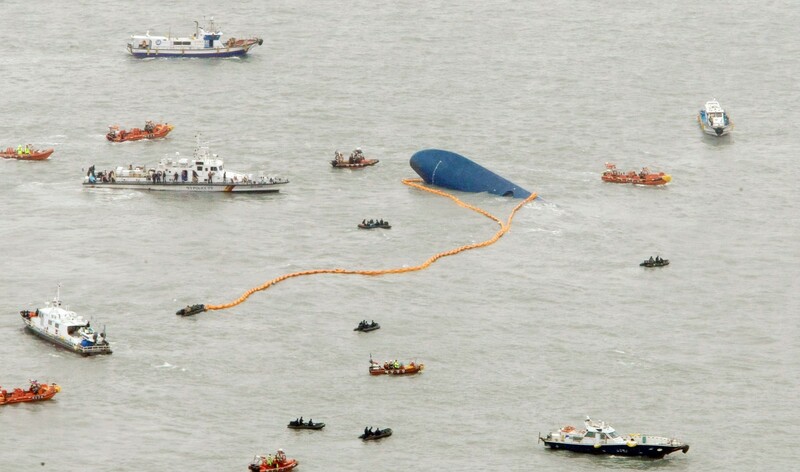 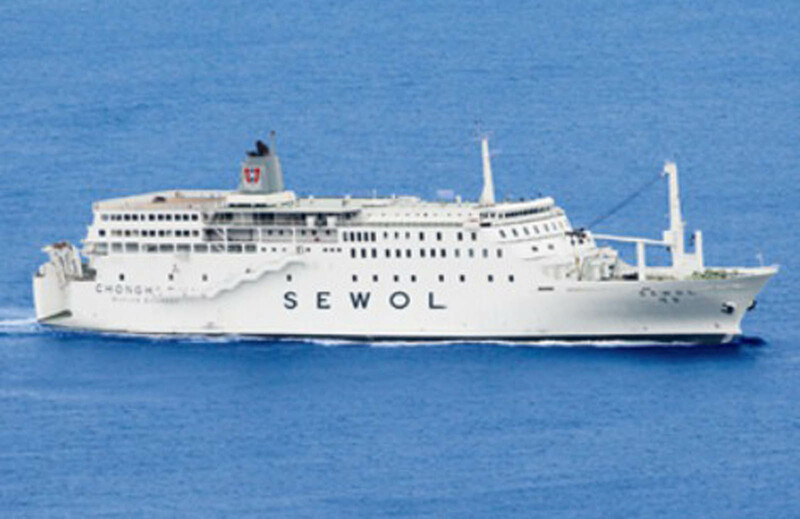 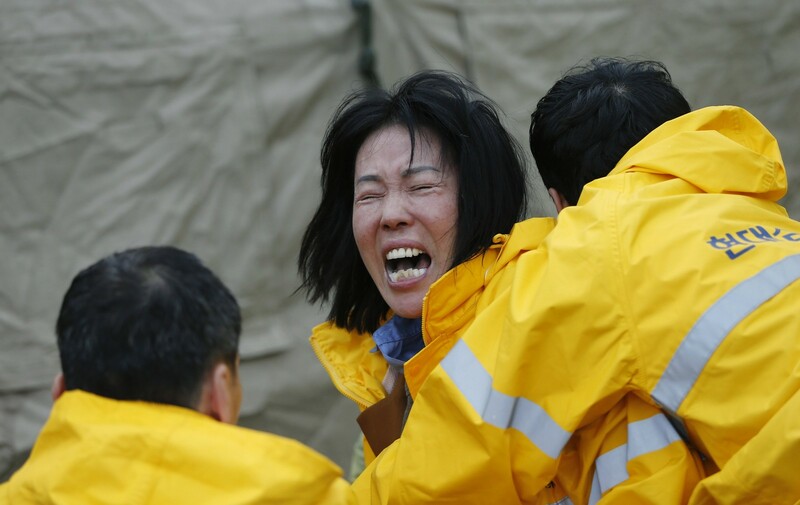 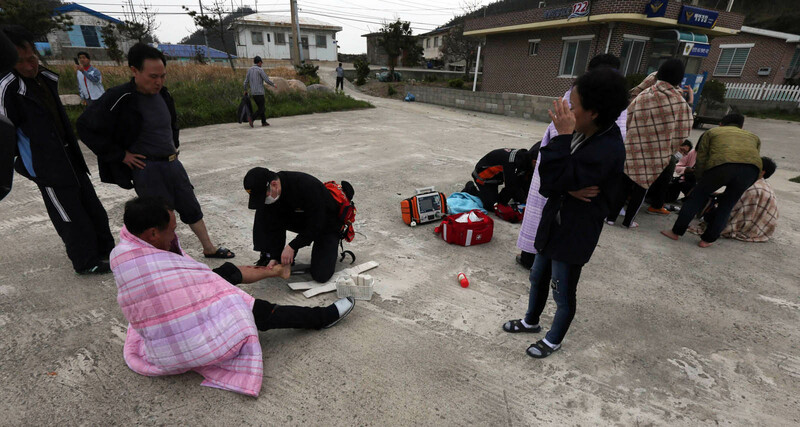 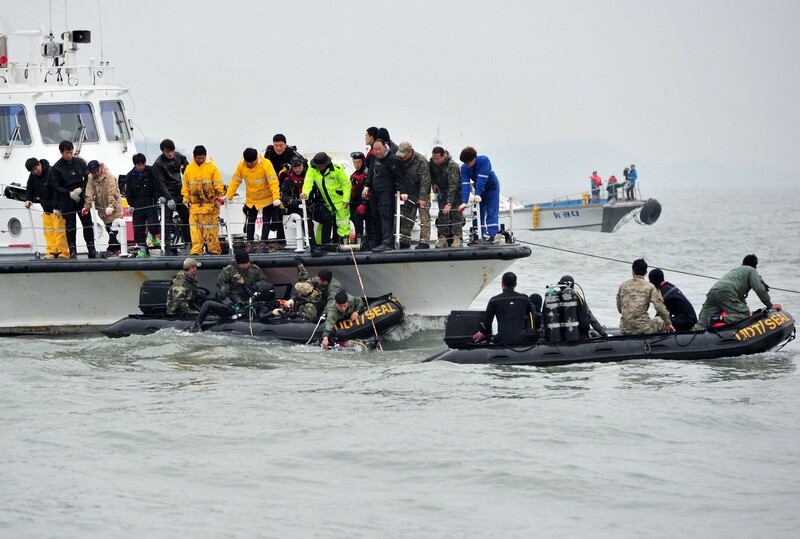 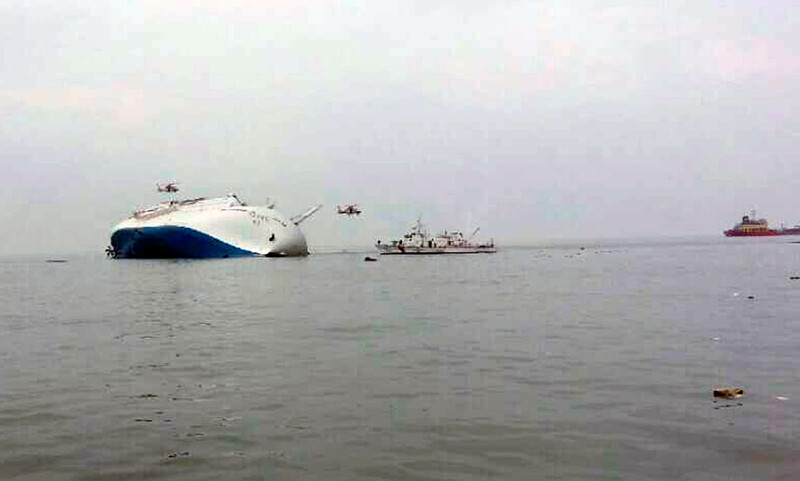 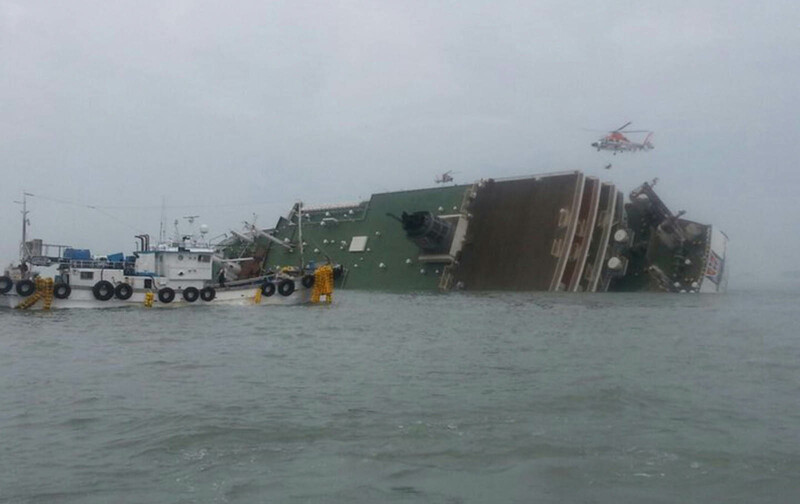 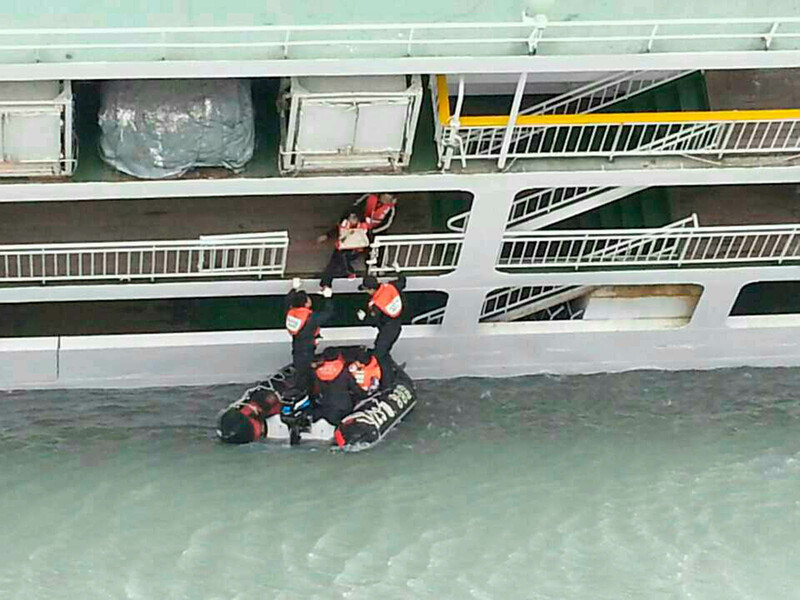 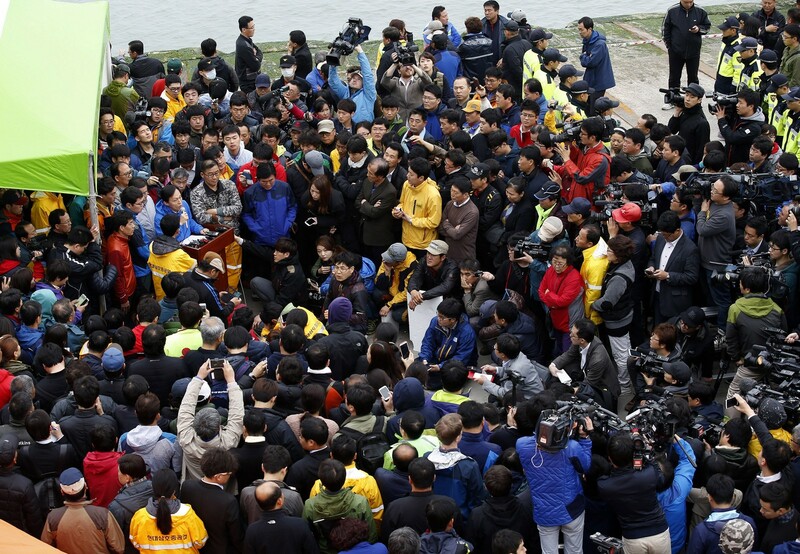 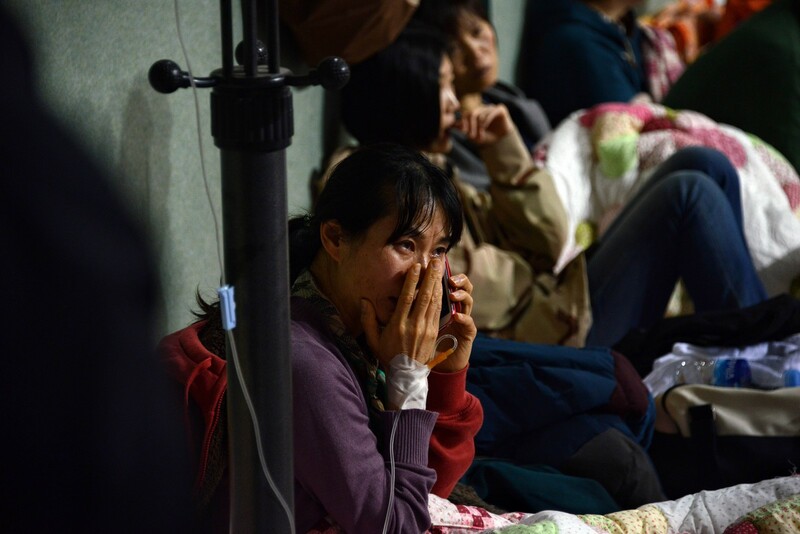 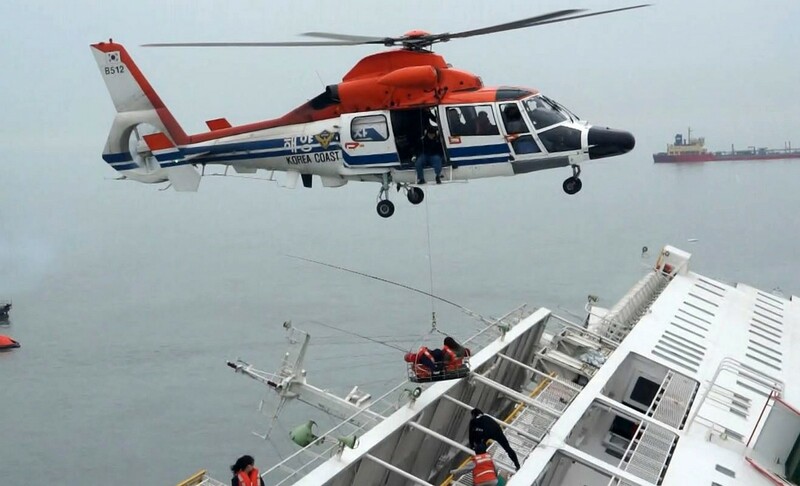 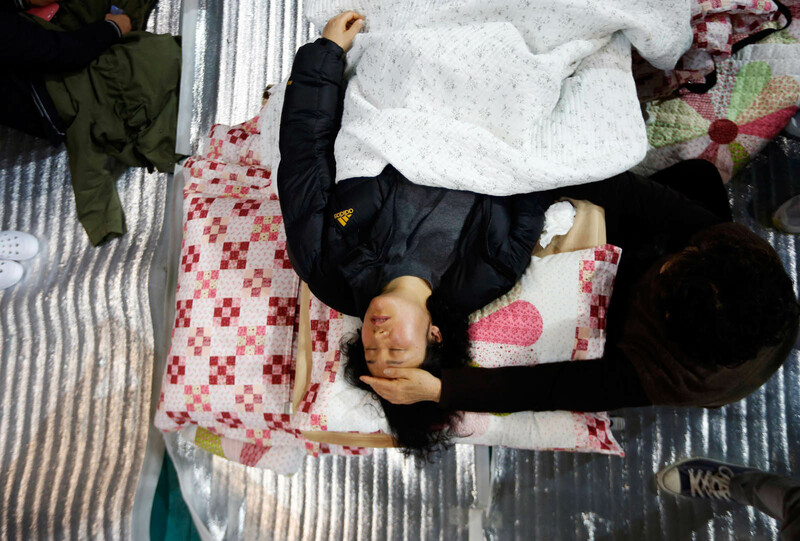 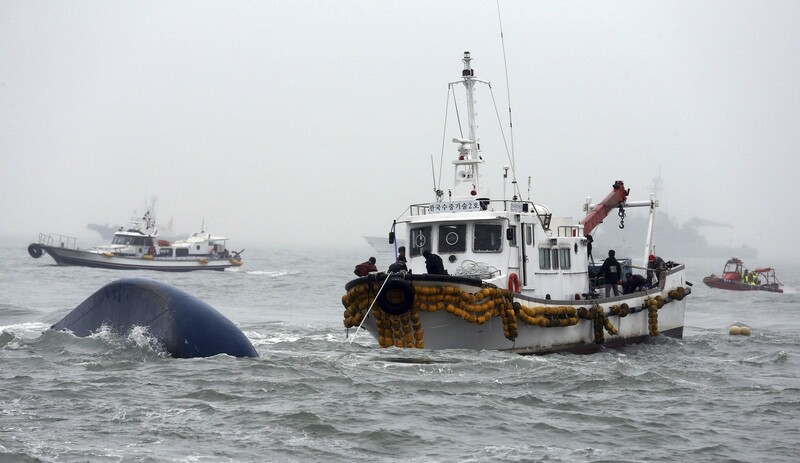 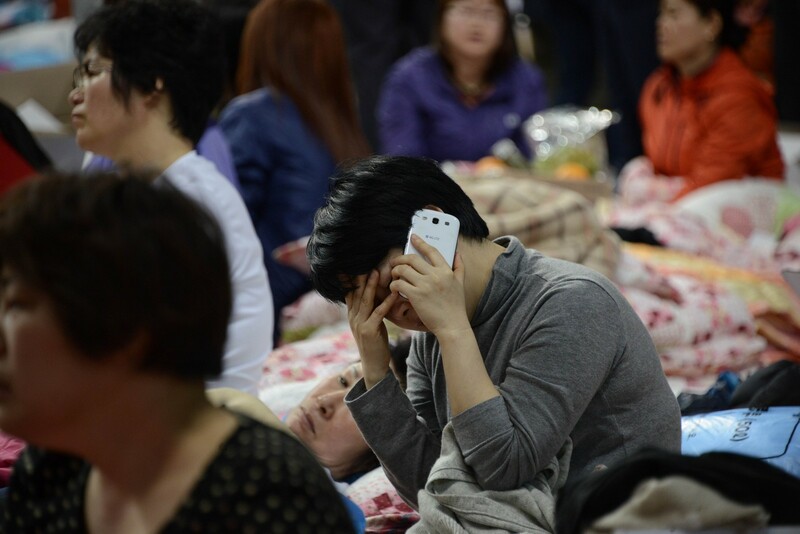 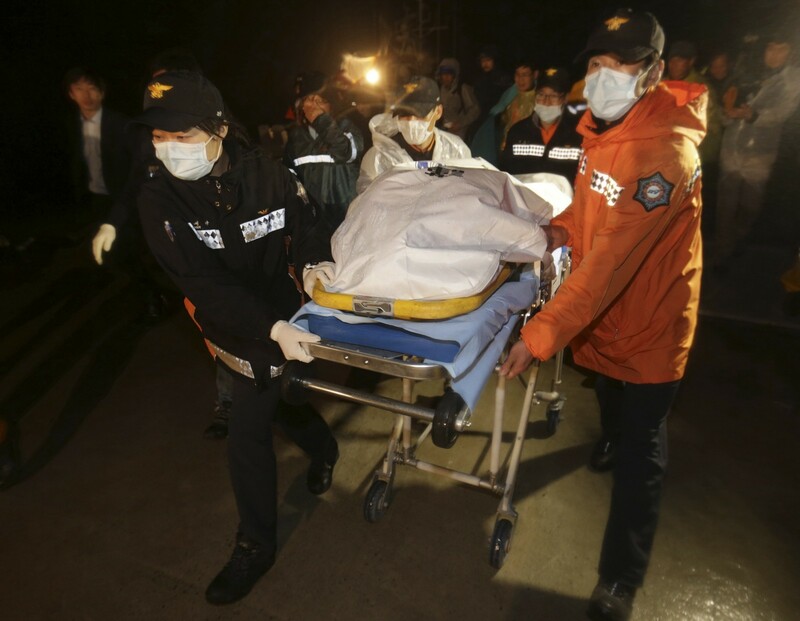 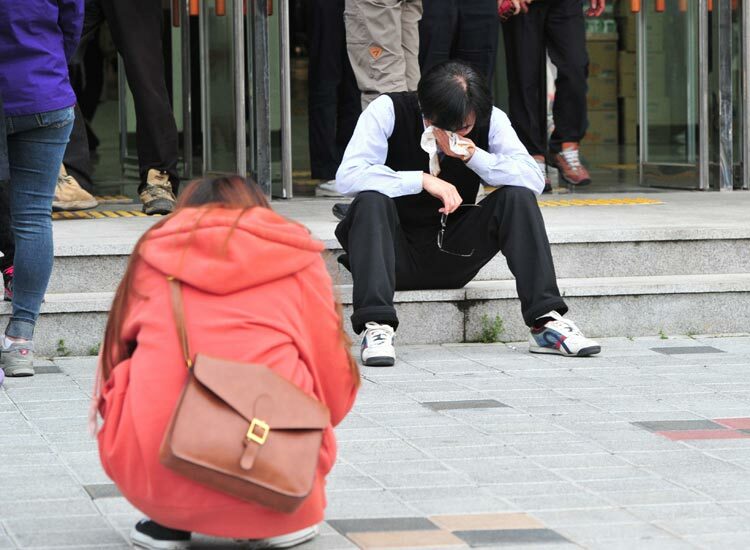 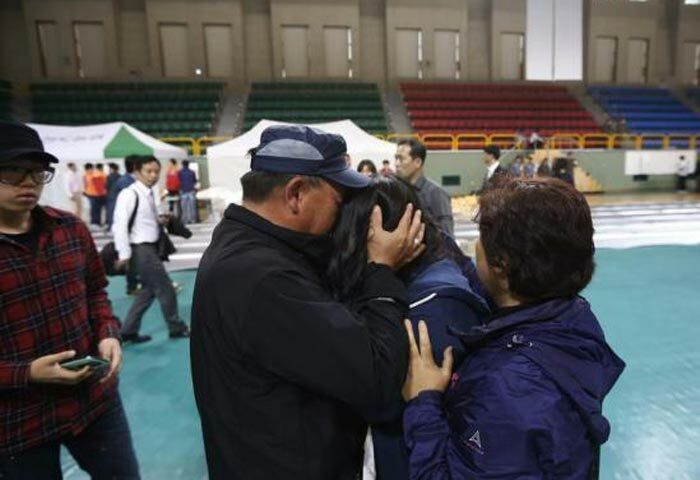 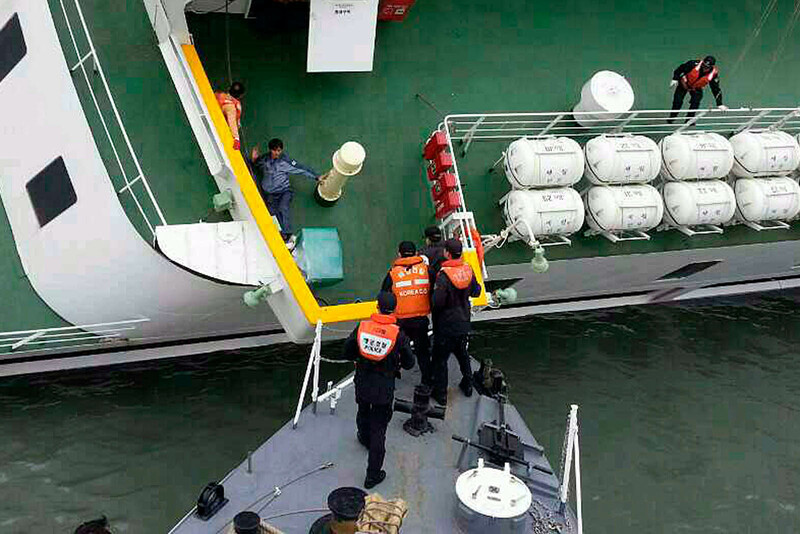 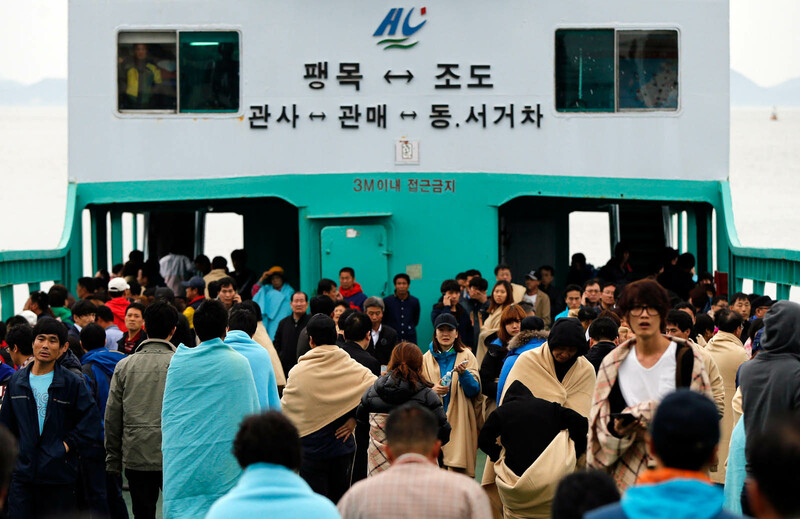 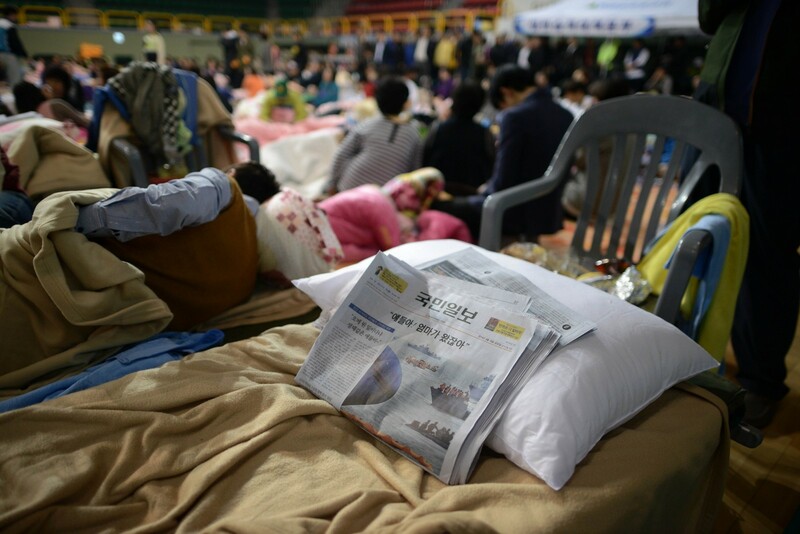 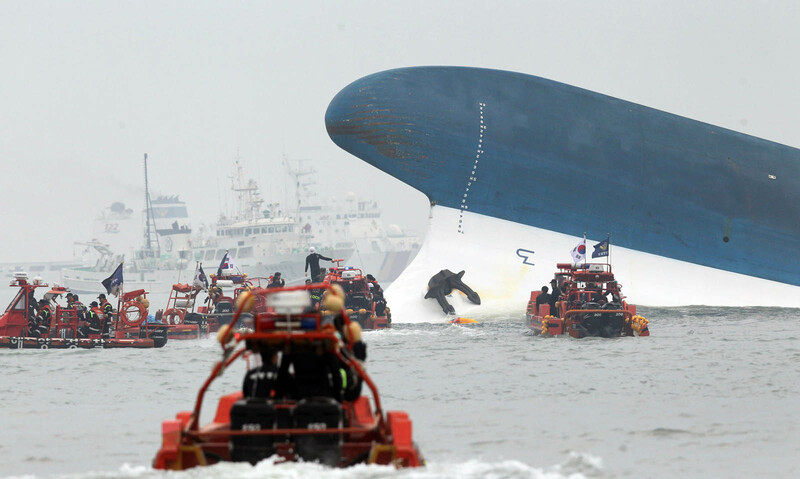 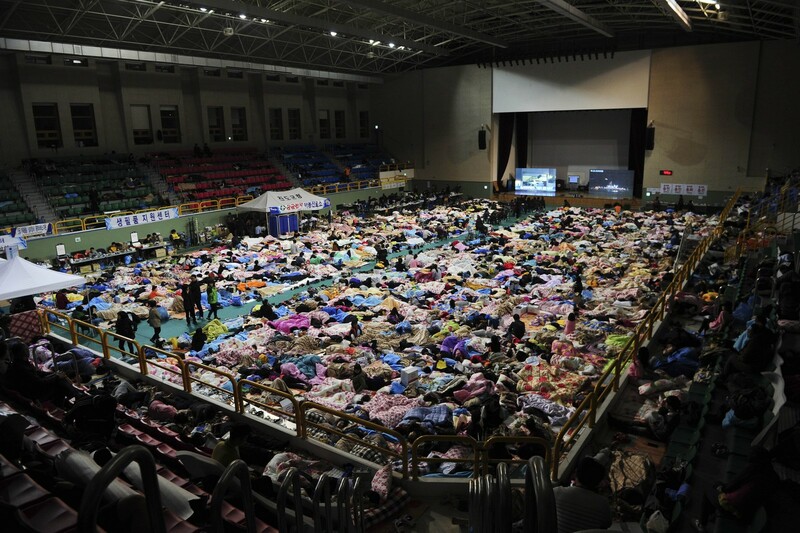 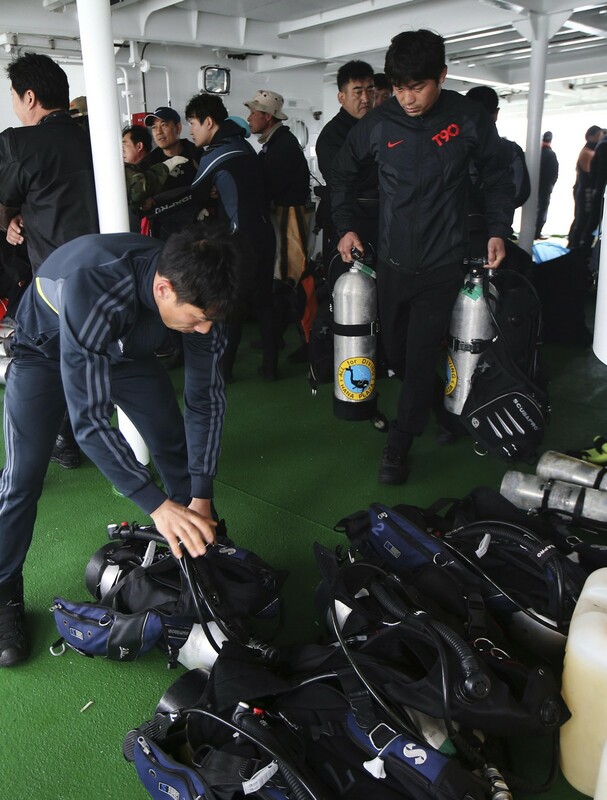 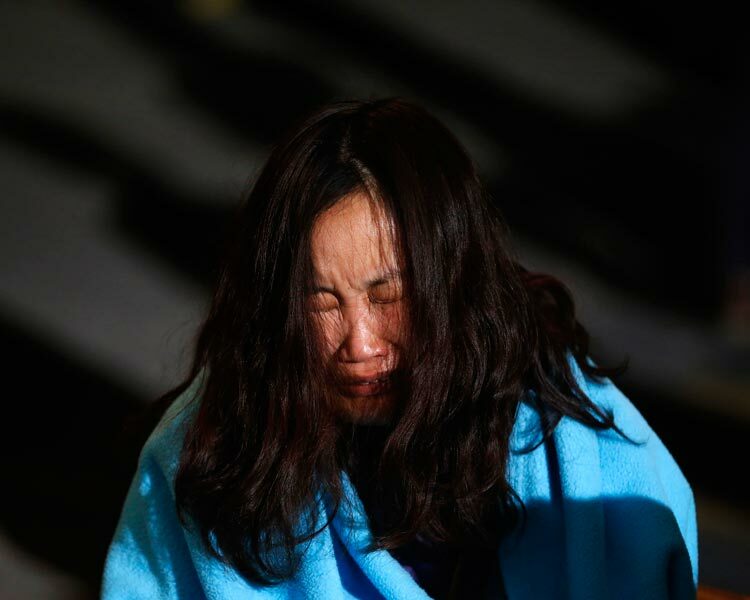 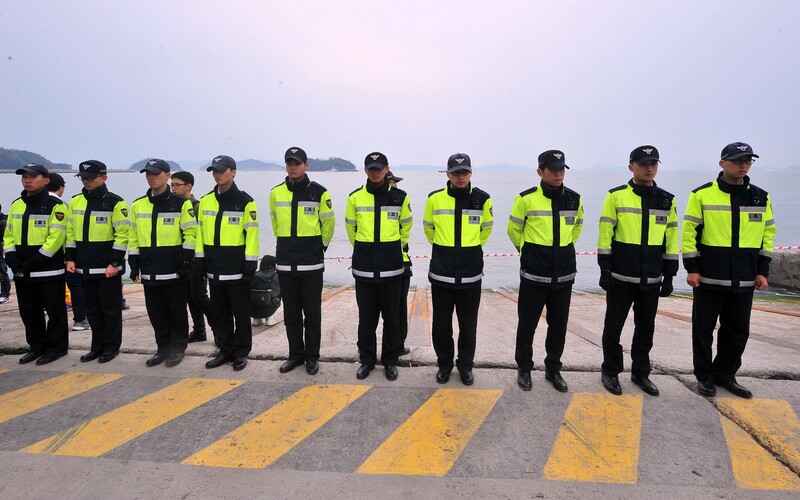 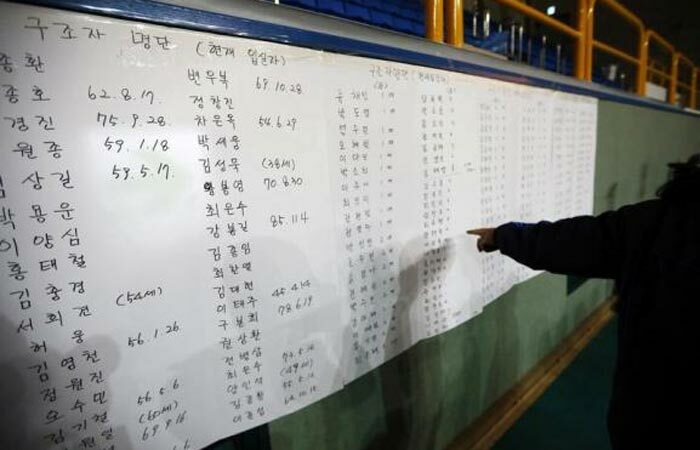 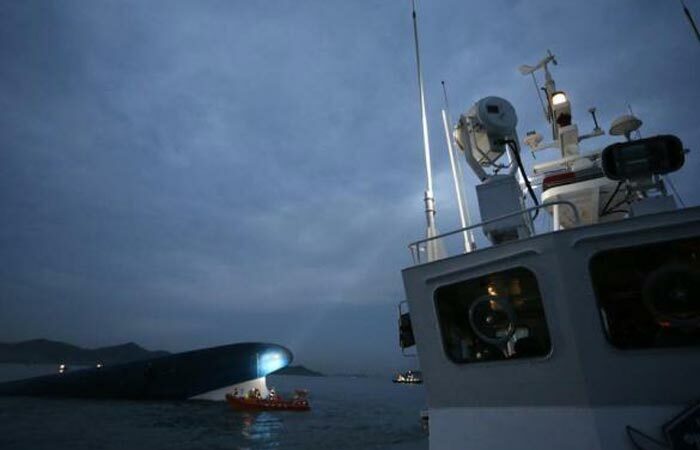 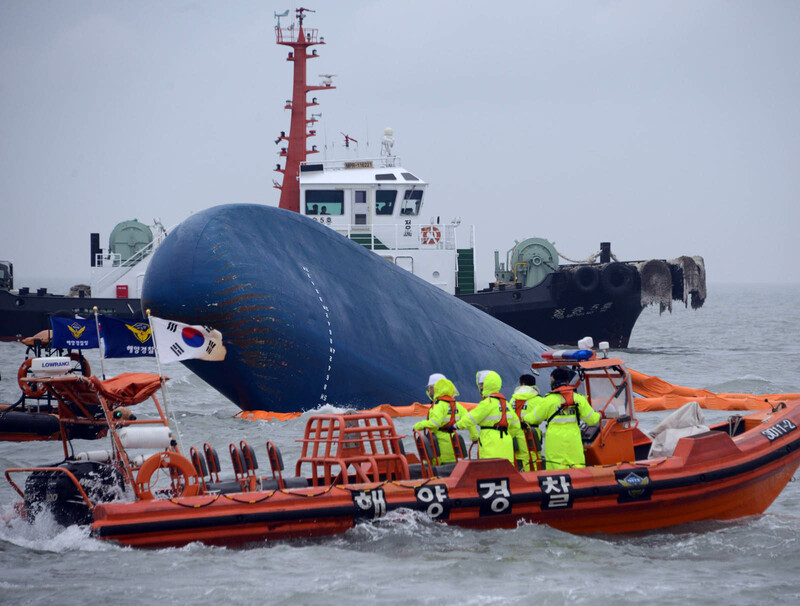 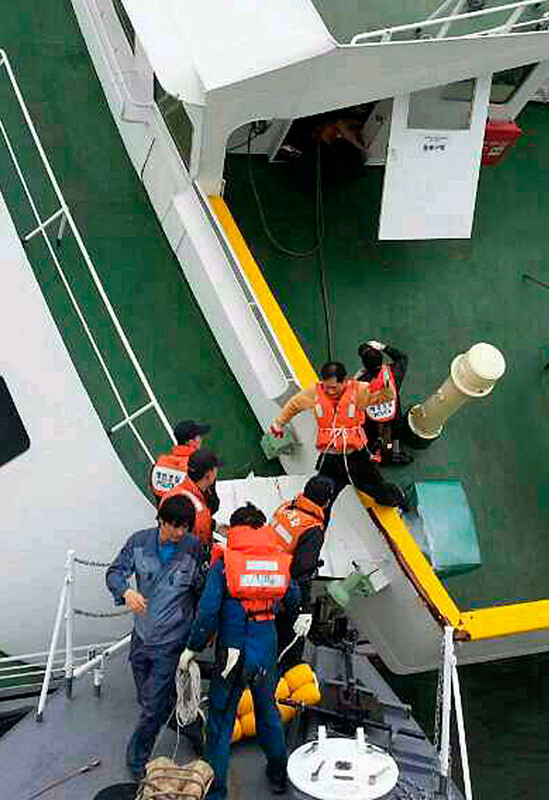 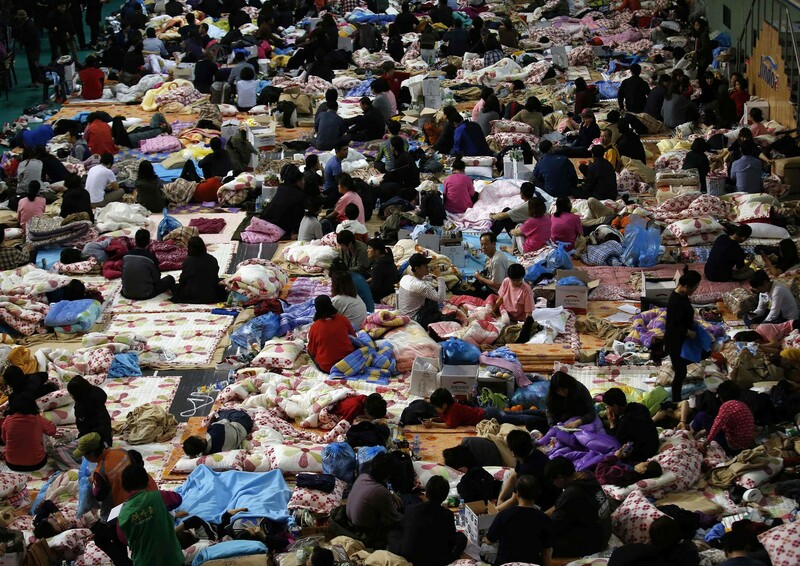 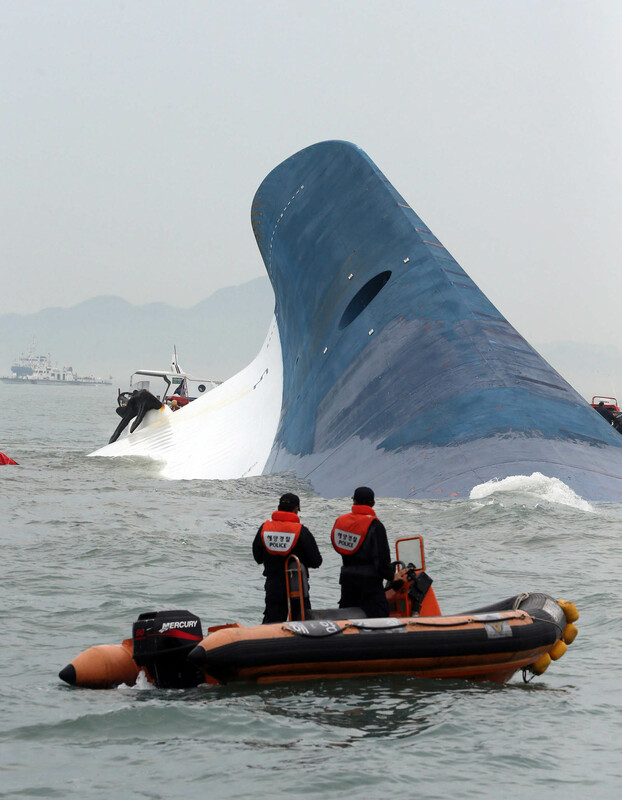 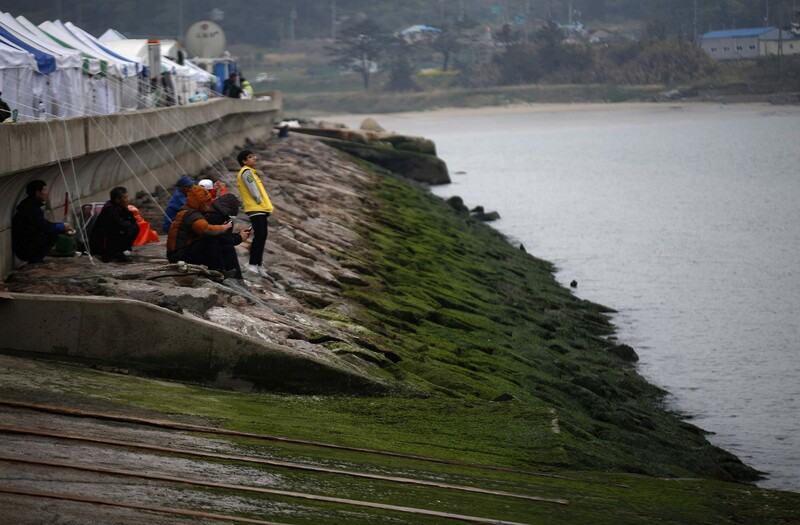 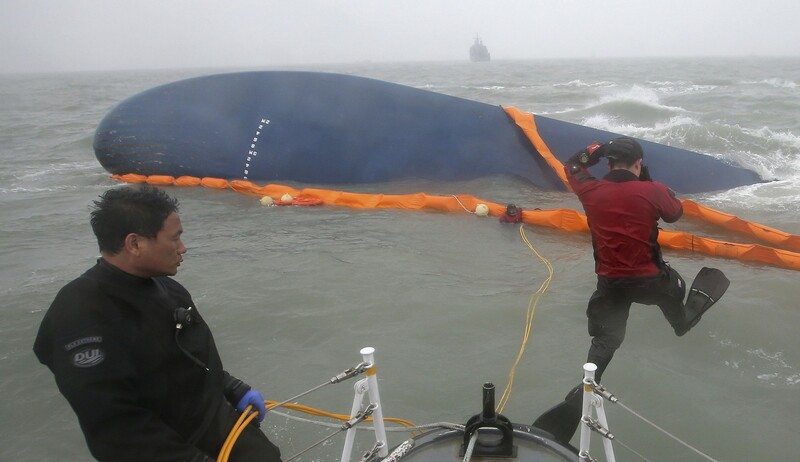 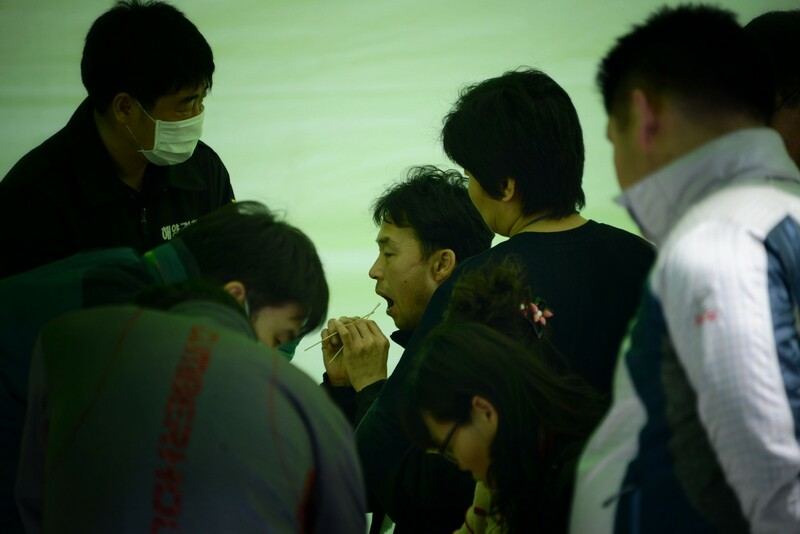 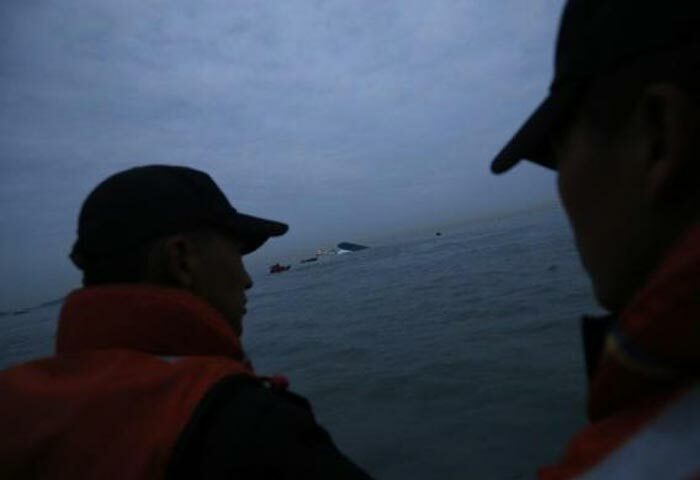 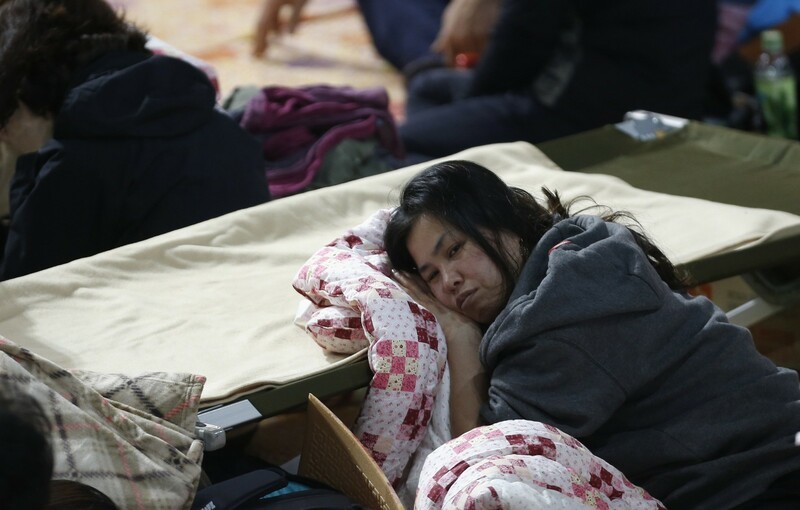 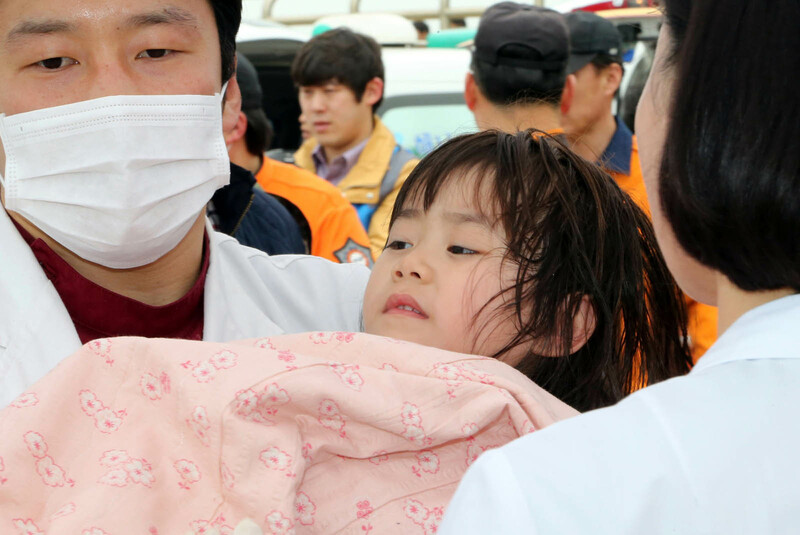 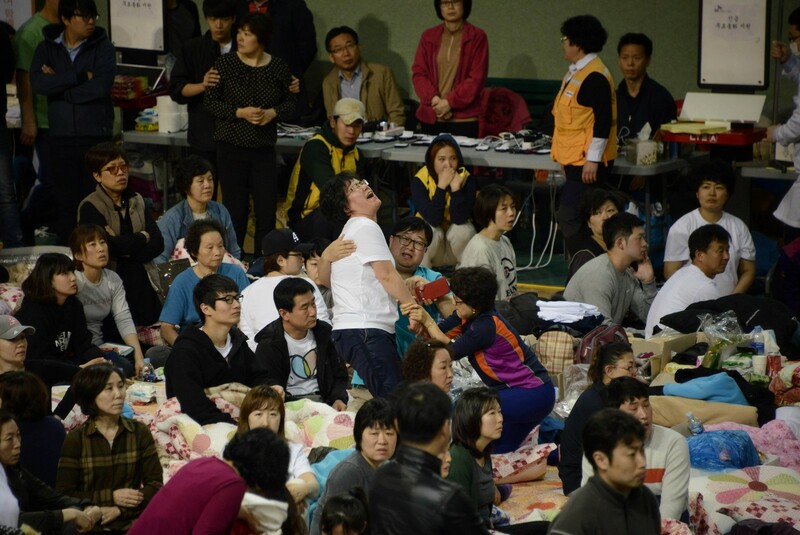 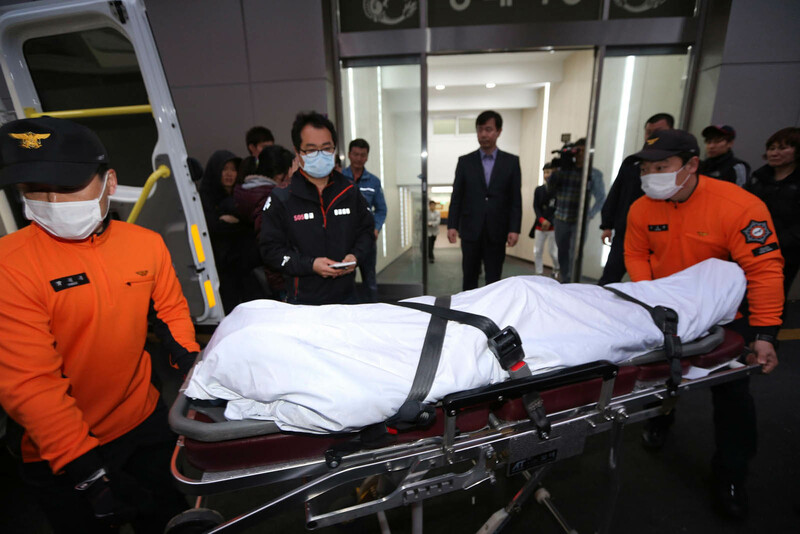 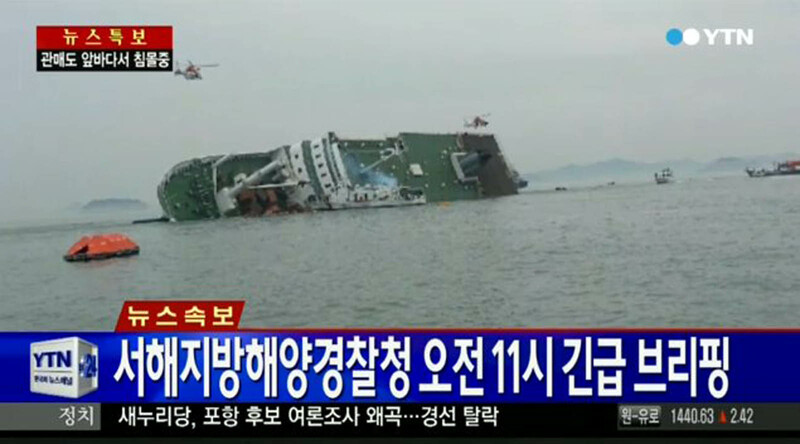 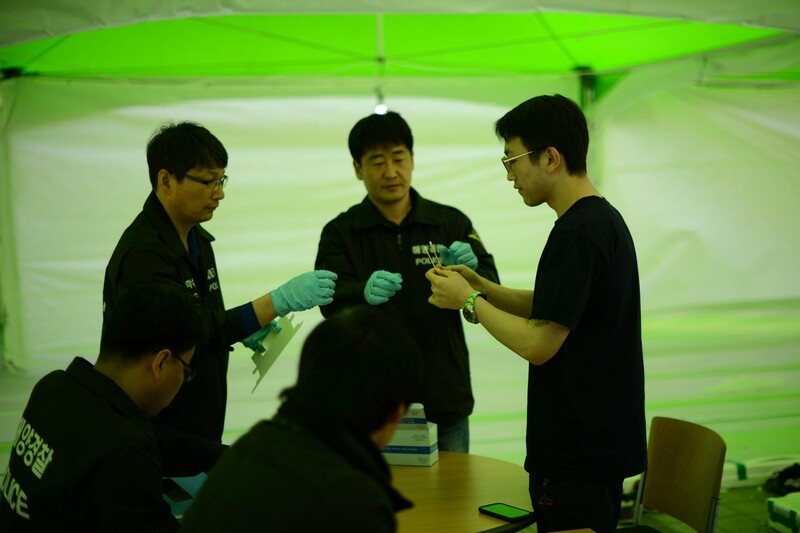 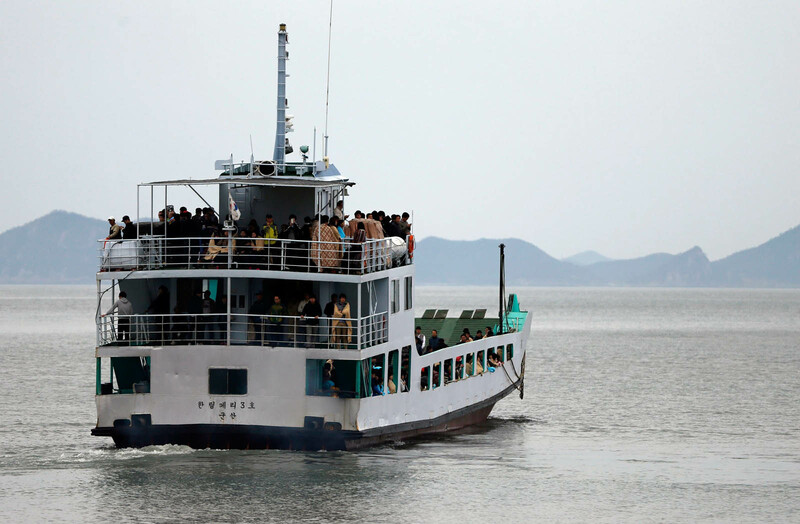 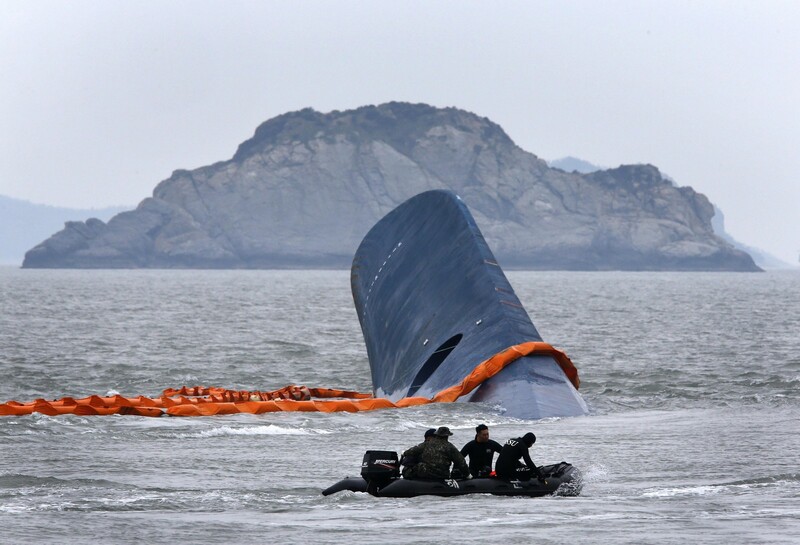 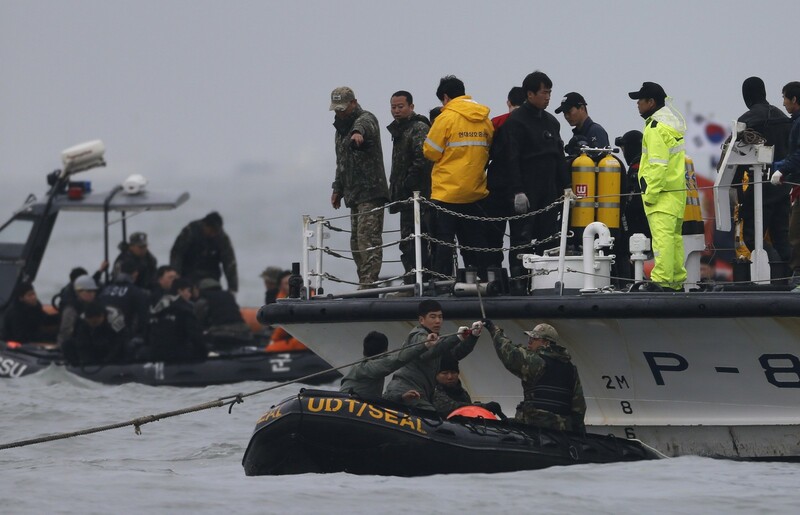 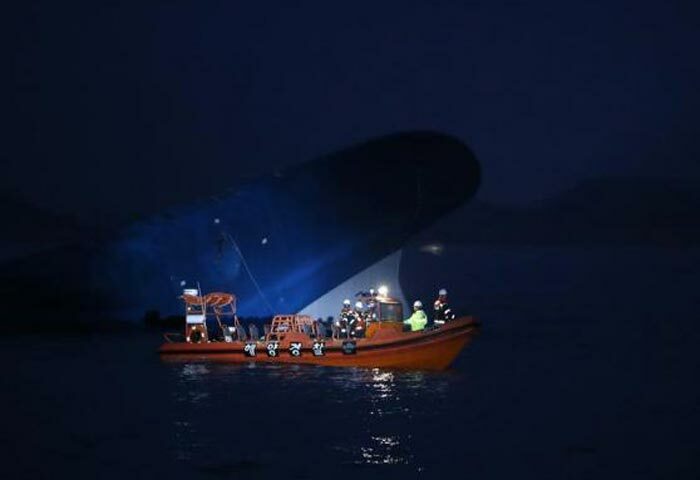 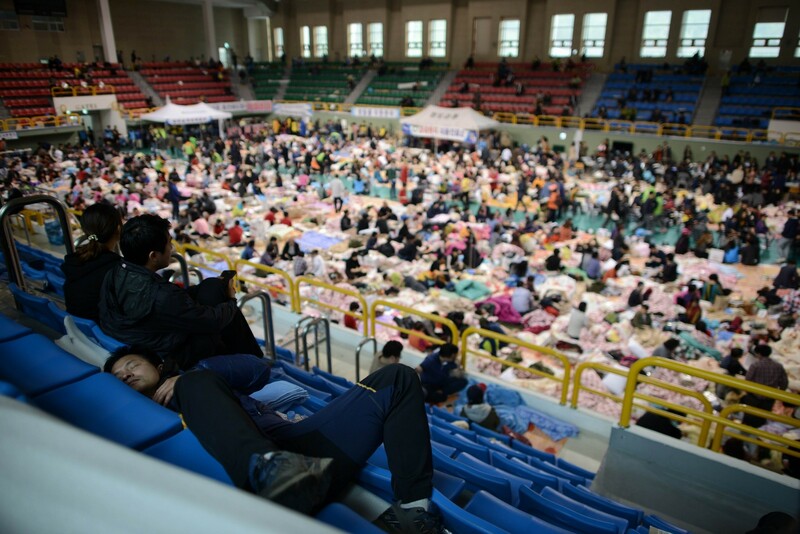 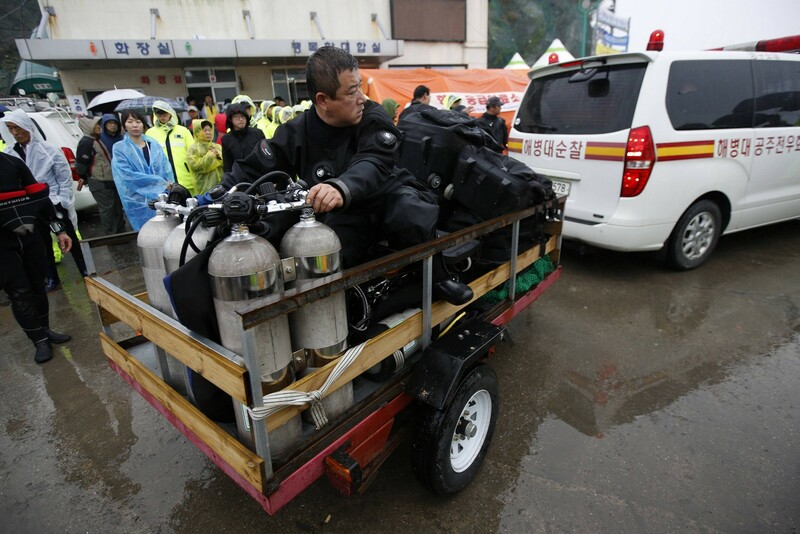 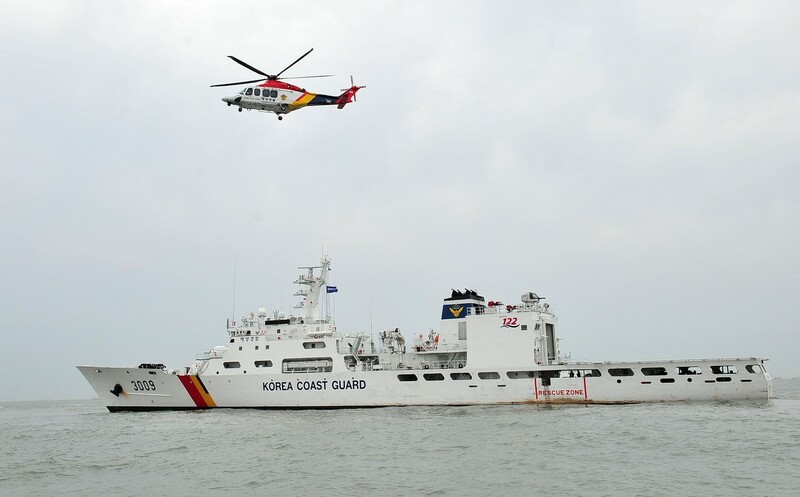 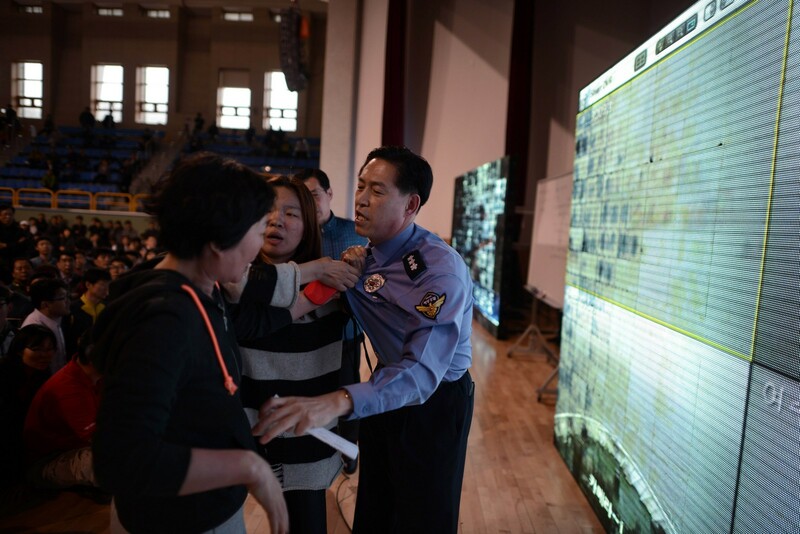 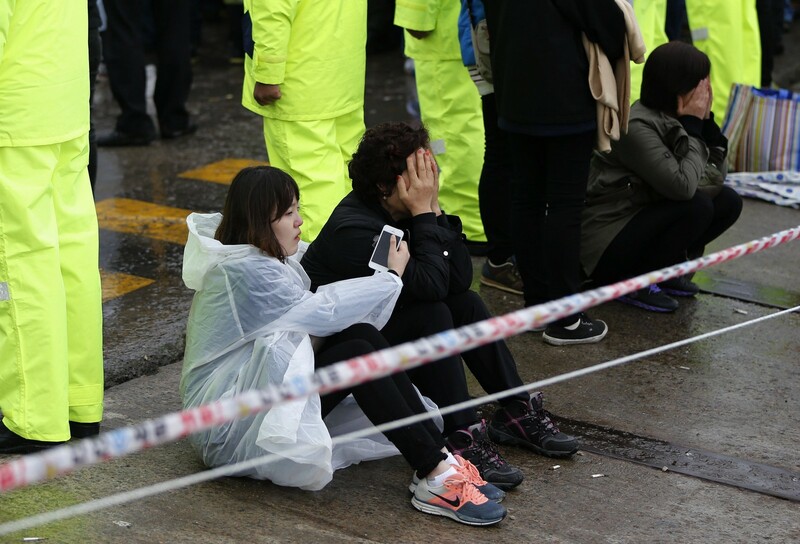 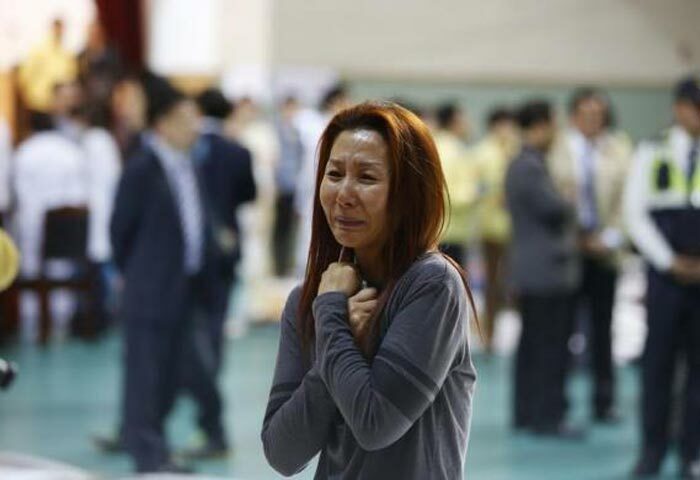 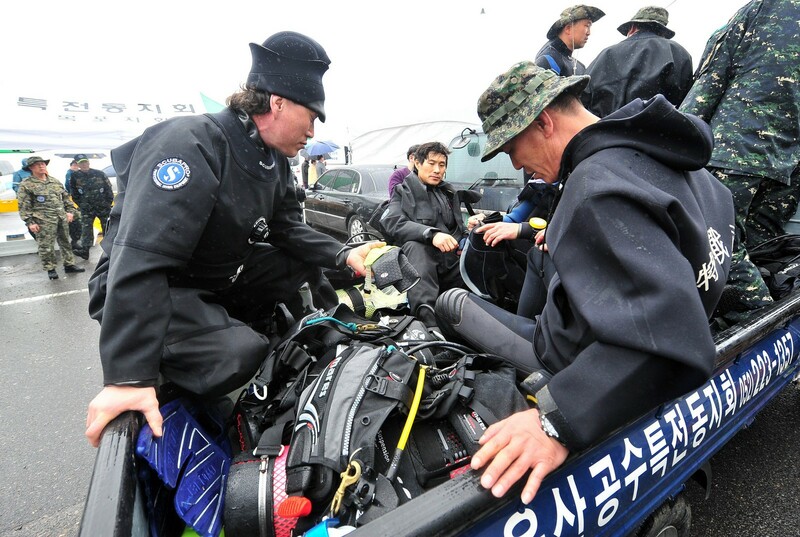 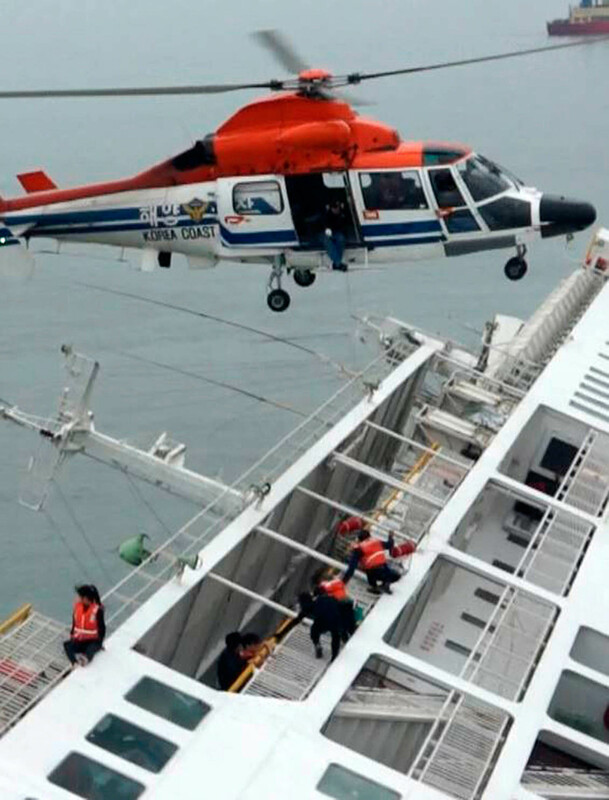 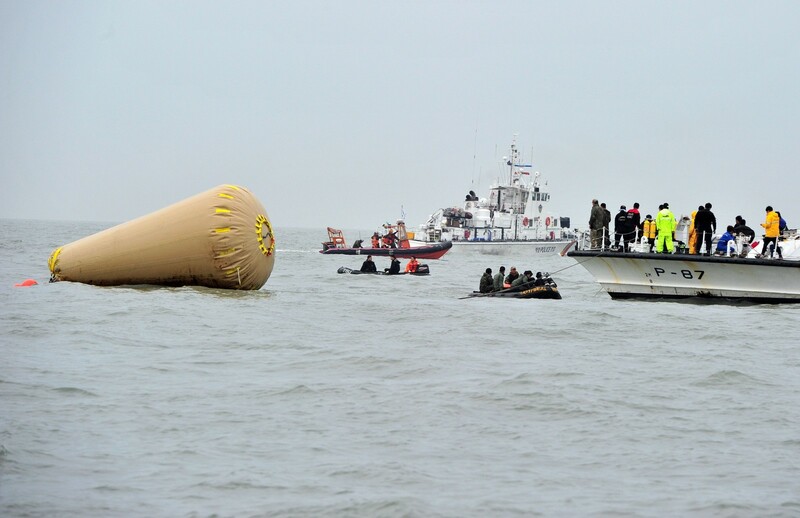 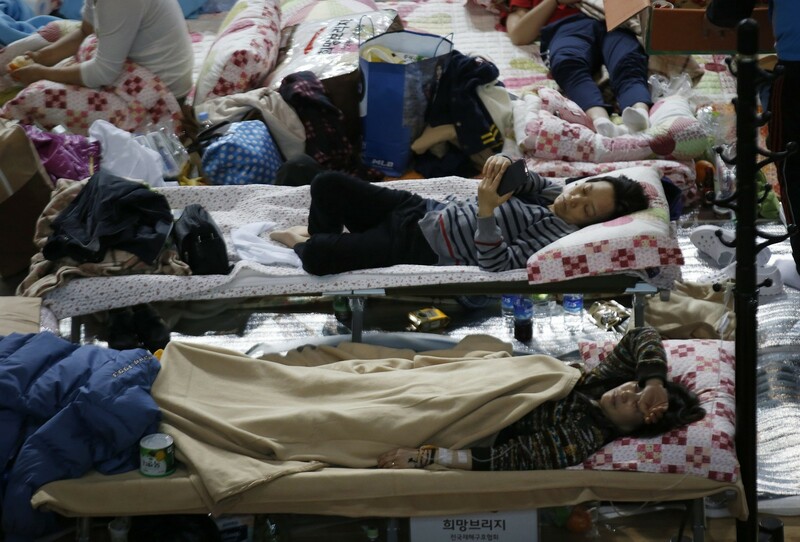 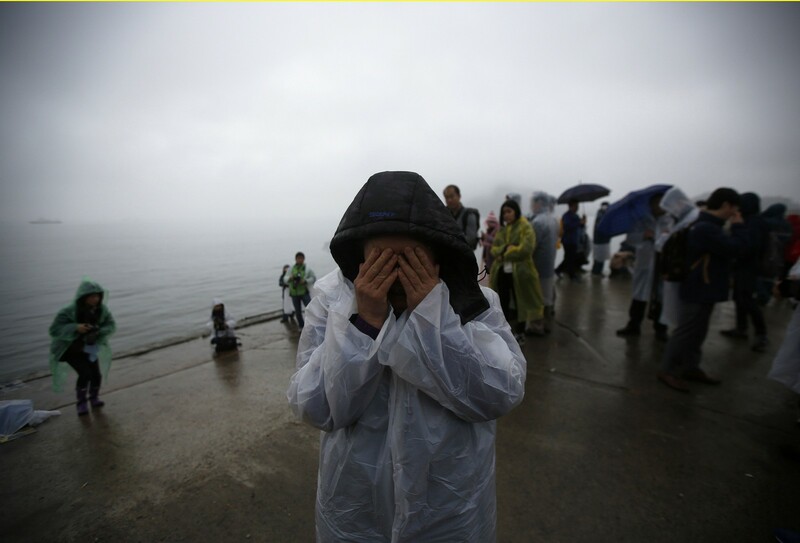 JINDO, South Korea - The arrested captain of the South Korean ferry that capsized with 476 people on board said Saturday he had delayed evacuating the ship because of the sea conditions and the absence of rescue ships. 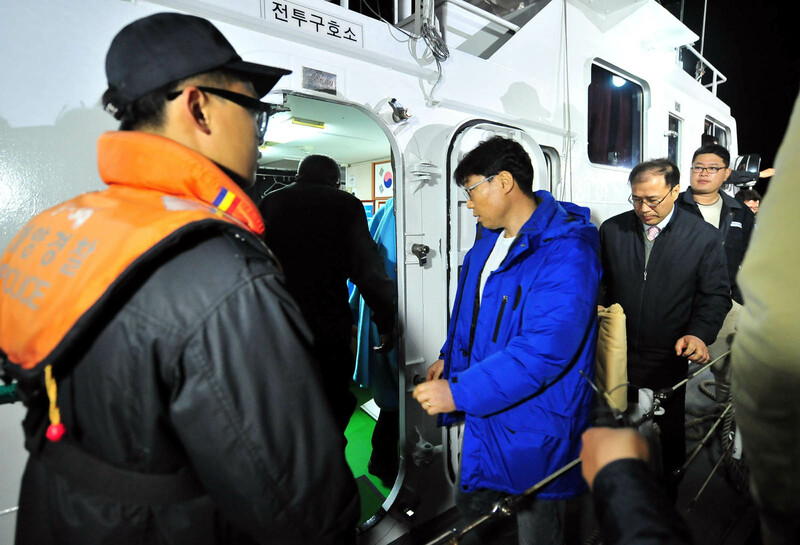 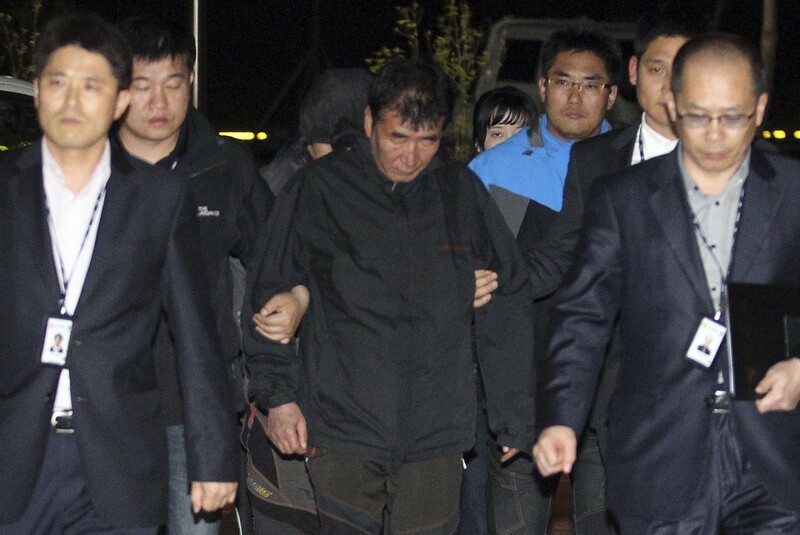 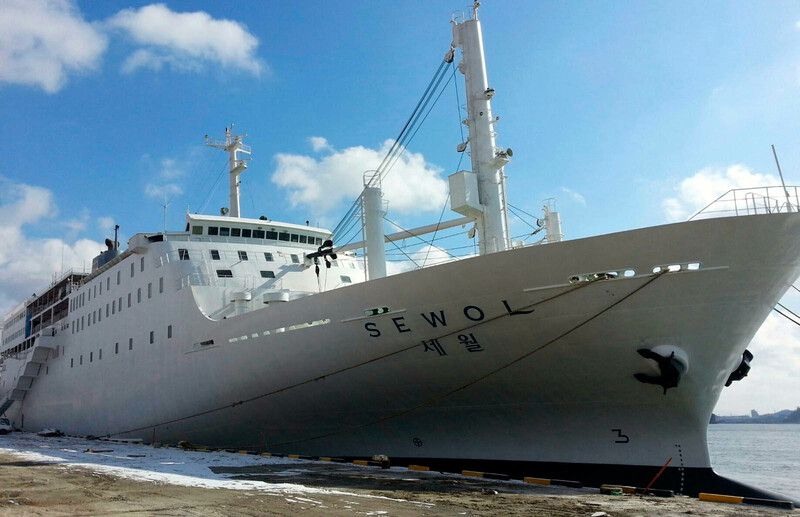 Lee Joon-Seok and two of his crew were taken into police custody in the early hours of the morning, charged with negligence and failing to secure the safety of passengers in violation of maritime law. 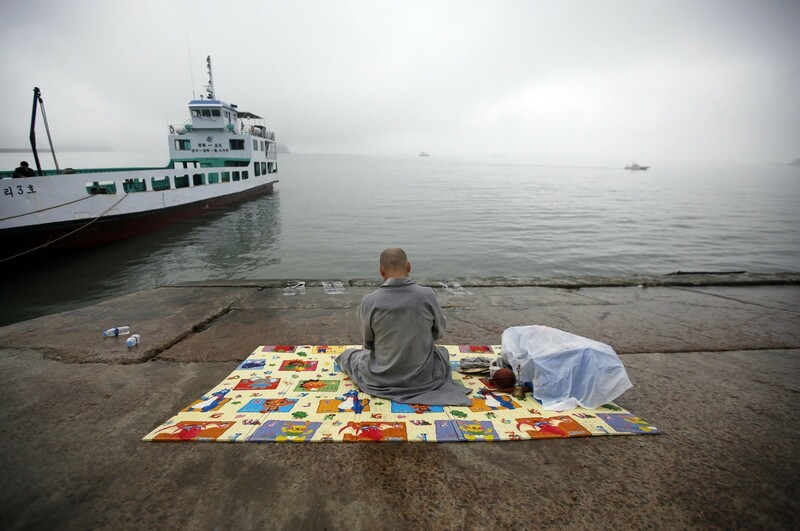 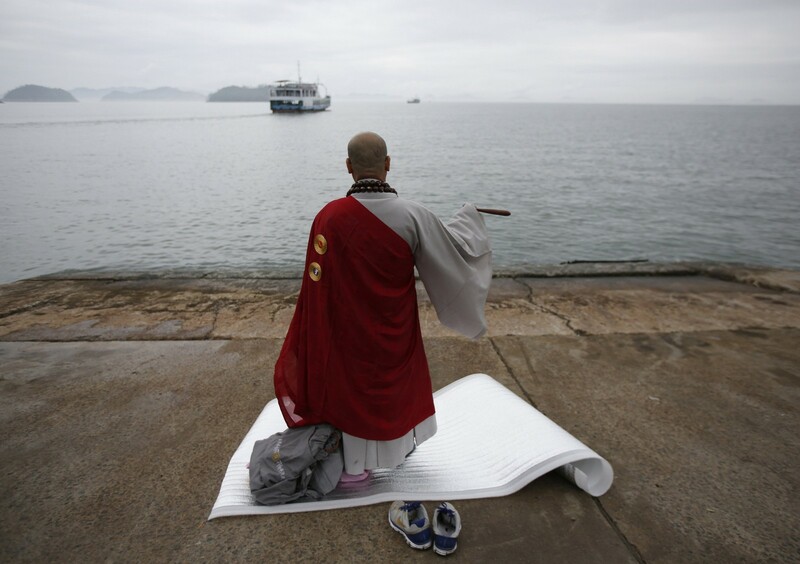 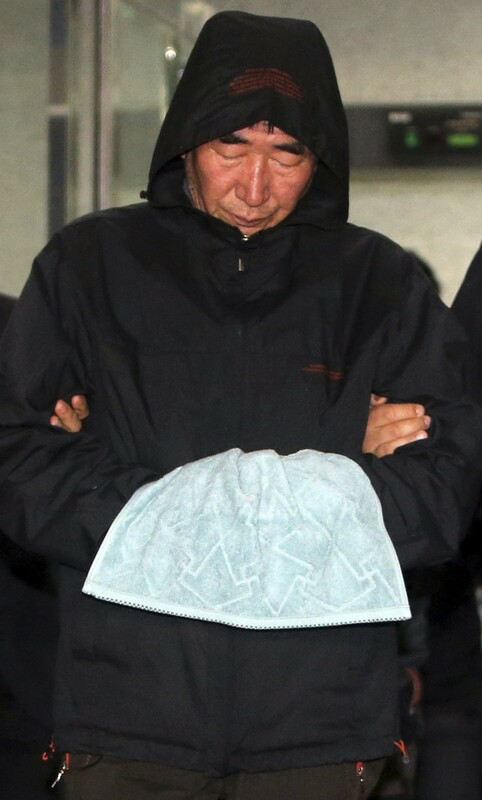 During his police arraignment, during which he stood, head bowed, in a hooded raincoat, Lee was asked by TV reporters why passengers had been ordered to remain in their seats and cabins for more than 40 minutes after the ferry first sent a distress signal just before 9:00am Wednesday. "At the time a rescue ship had not arrived. 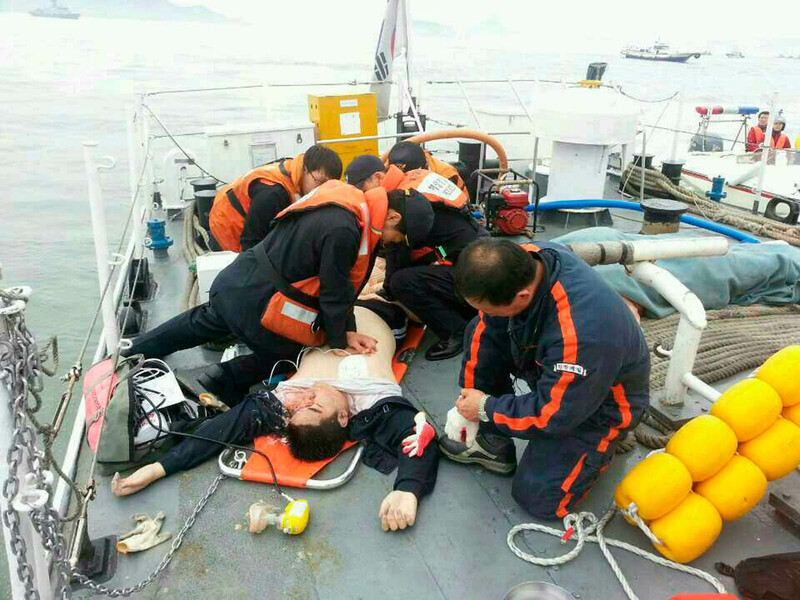 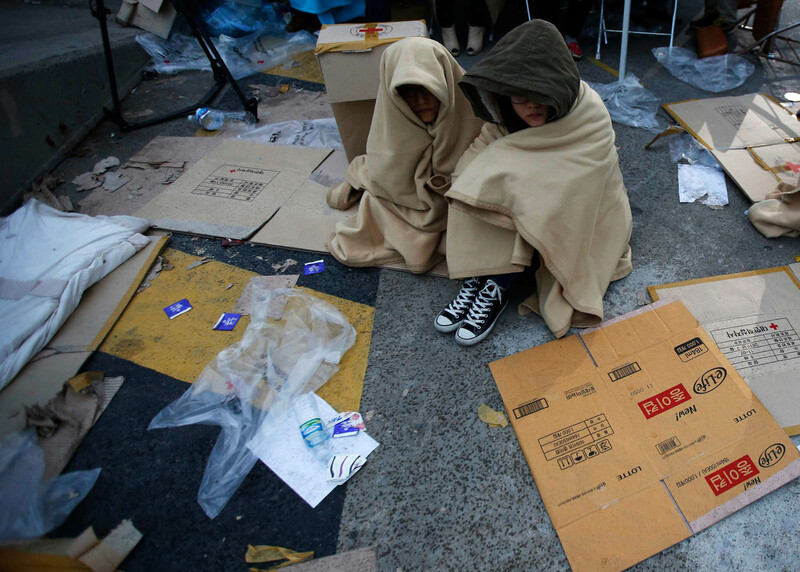 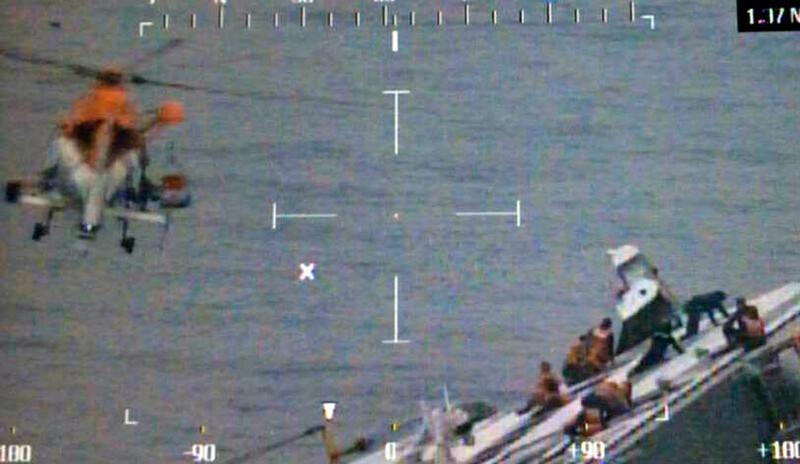 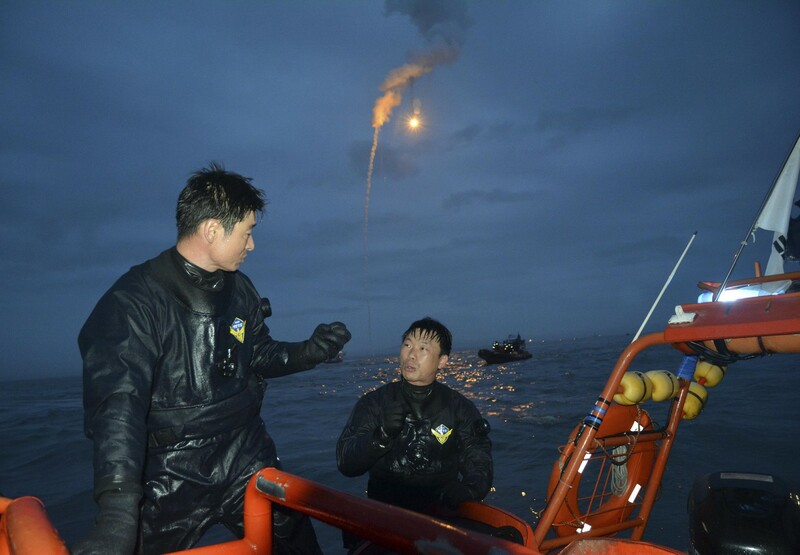 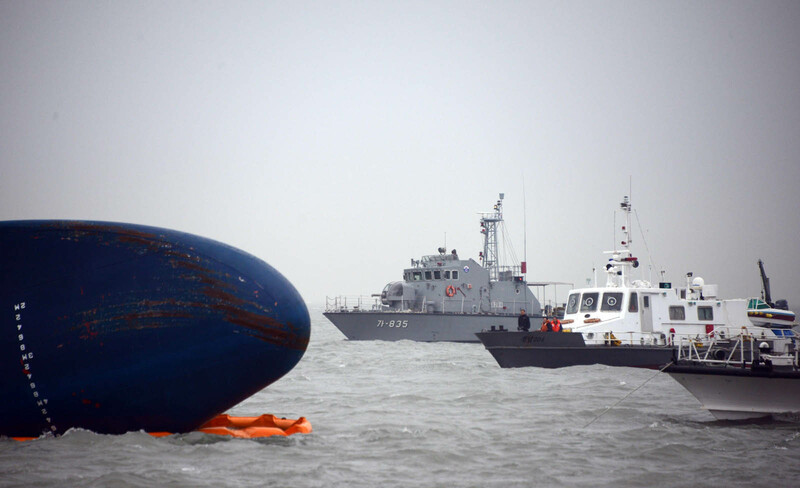 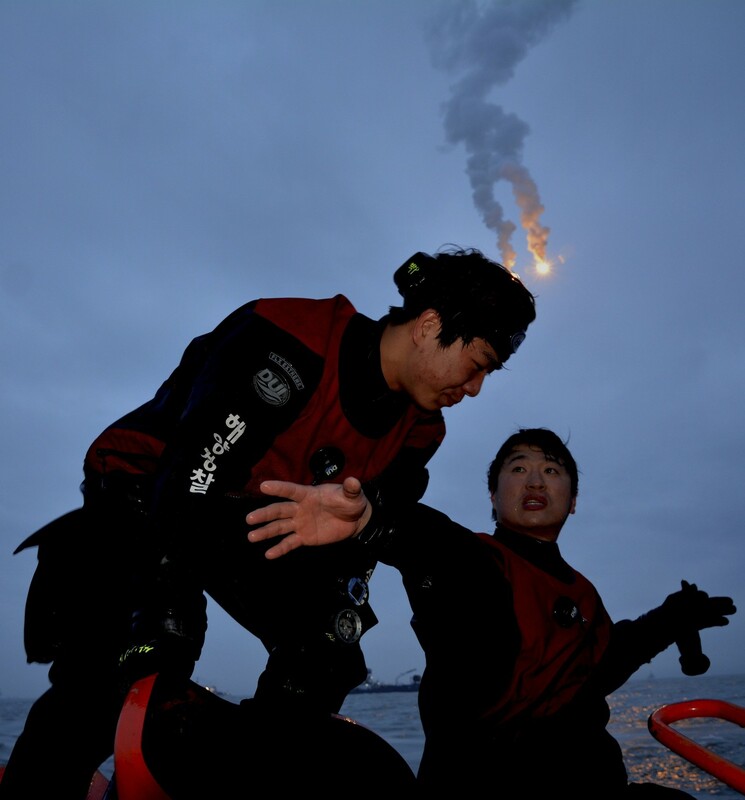 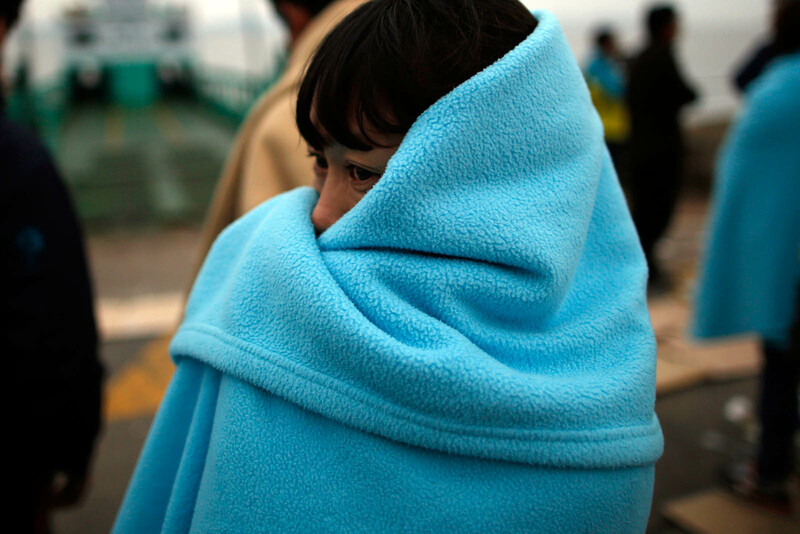 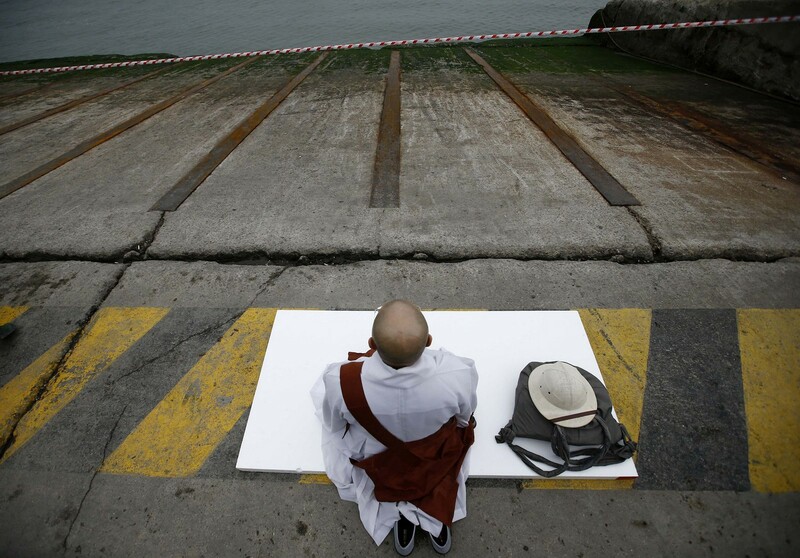 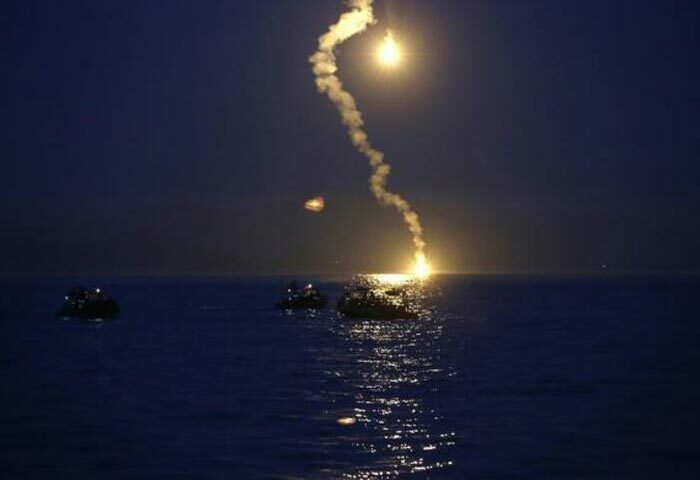 There were also no fishing boats around there for rescues or other ships to help," Lee said. 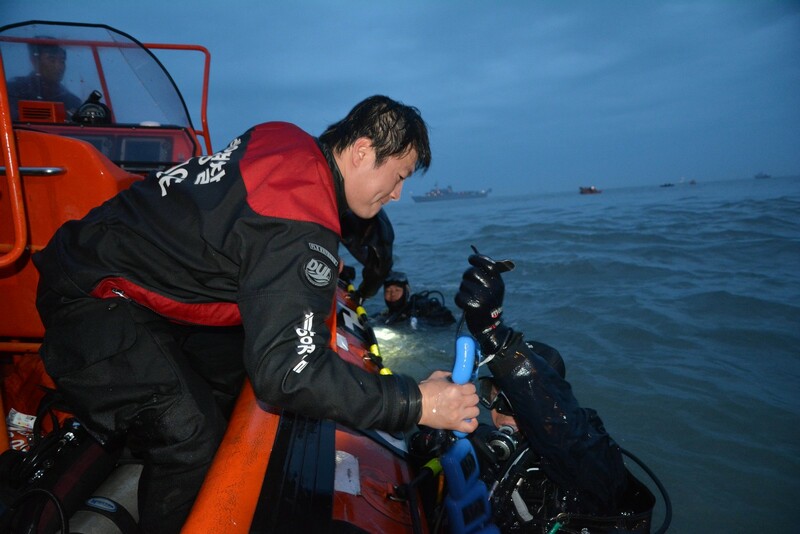 "The currents were very strong and water was cold at that time in the area. 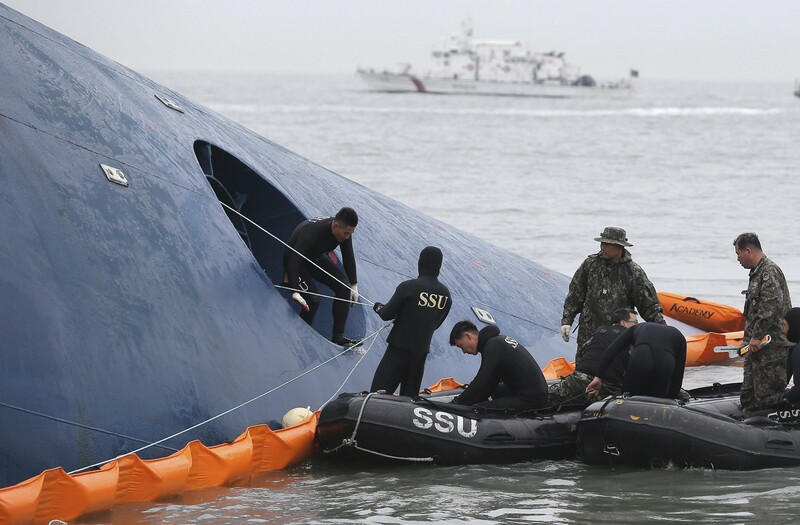 "I thought that passengers would be swept far away and fall into trouble if they evacuated thoughtlessly without wearing lifejackets. 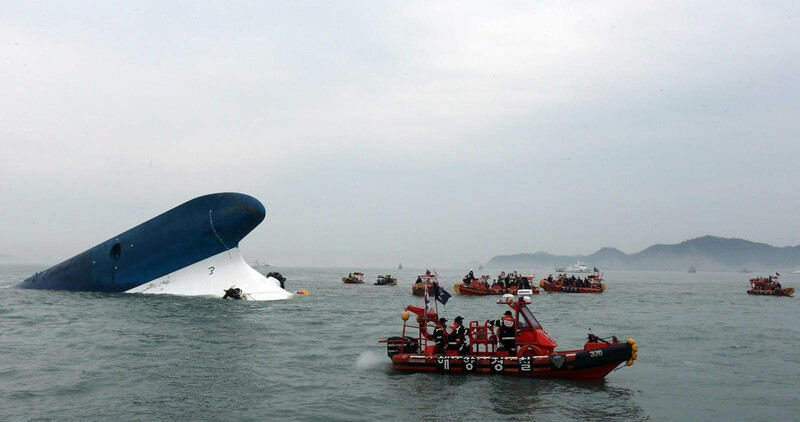 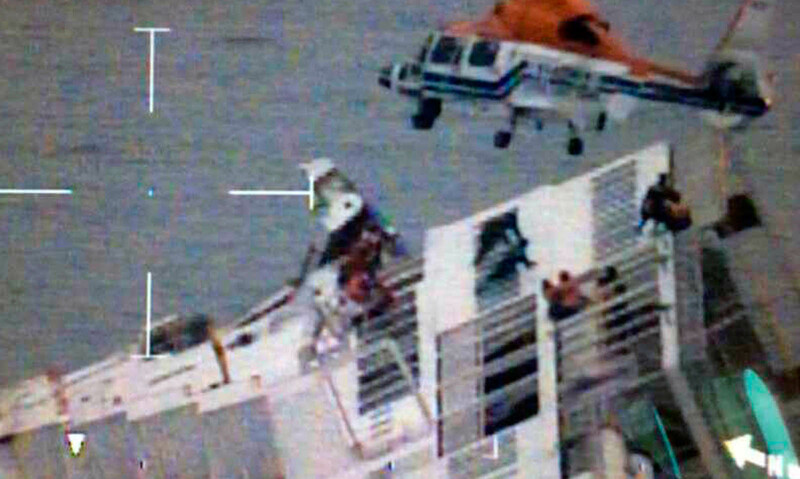 "It would have been the same even if they did wear lifejackets," he said. 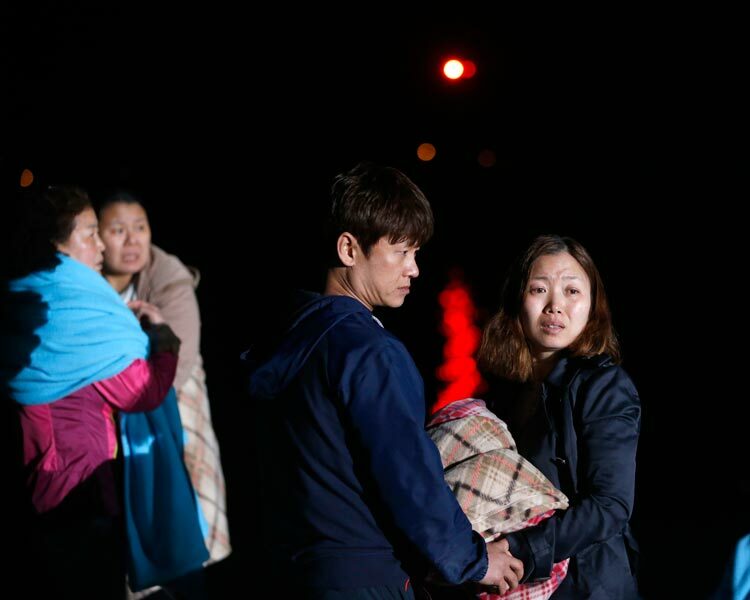 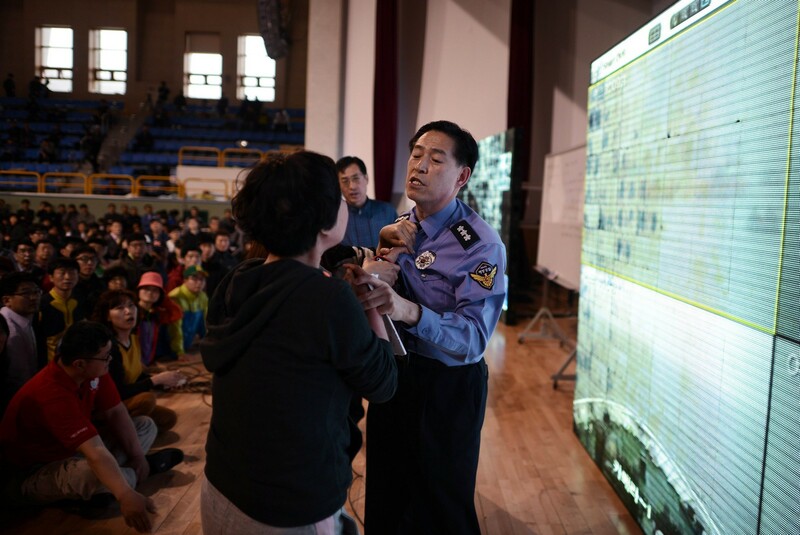 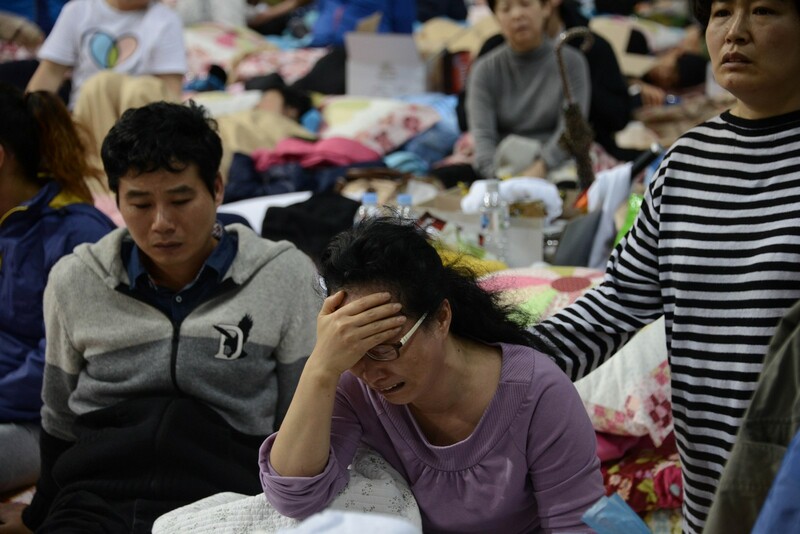 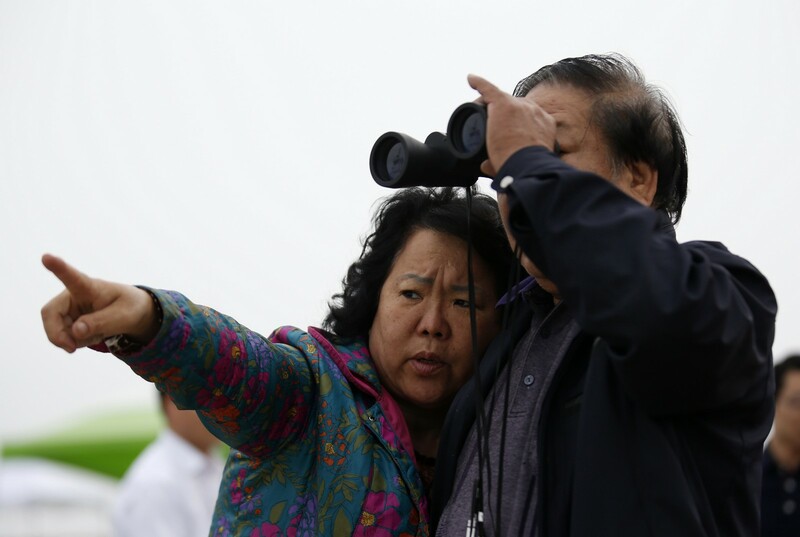 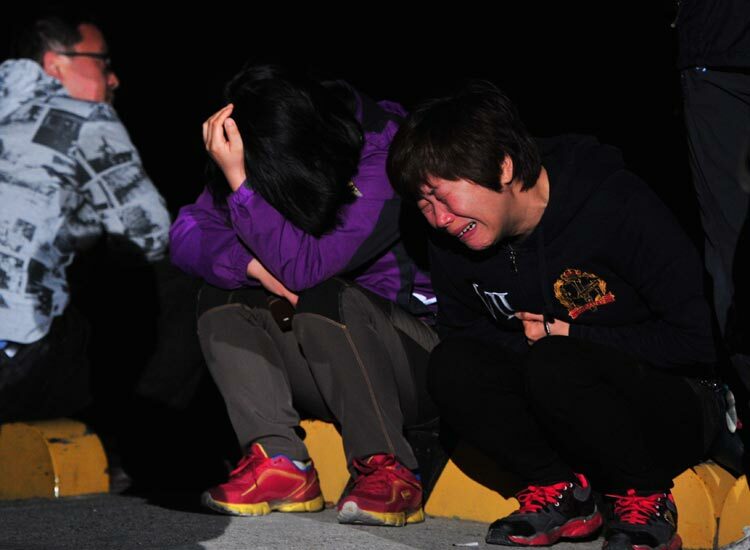 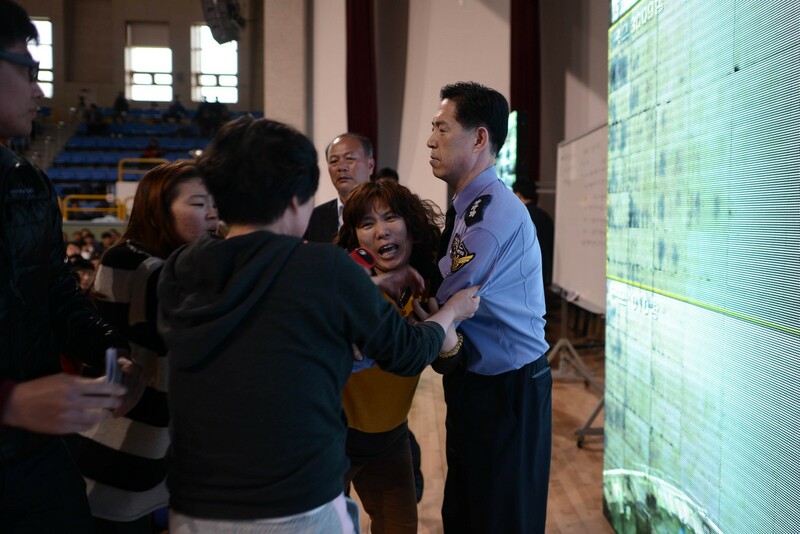 Furious relatives of the hundreds of passengers still missing - most of them schoolchildren - believe many more would have escaped if they had moved to reach evacuation points before the ship listed sharply and water started flooding in. 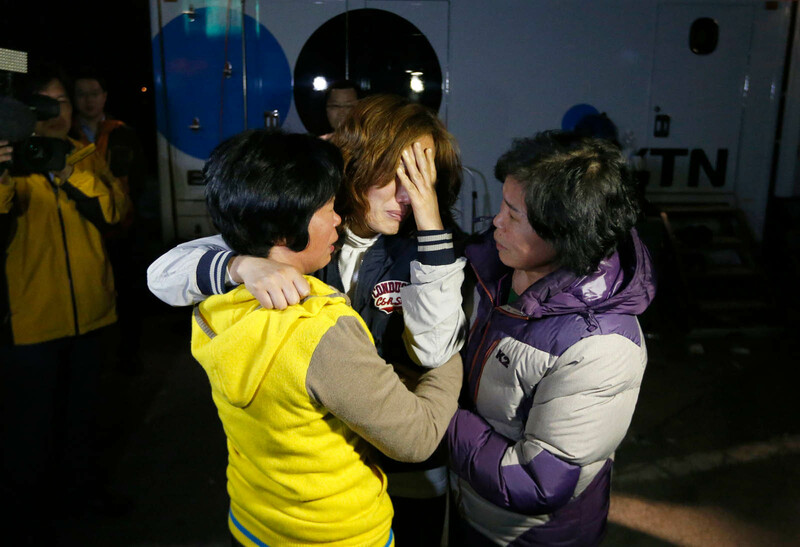 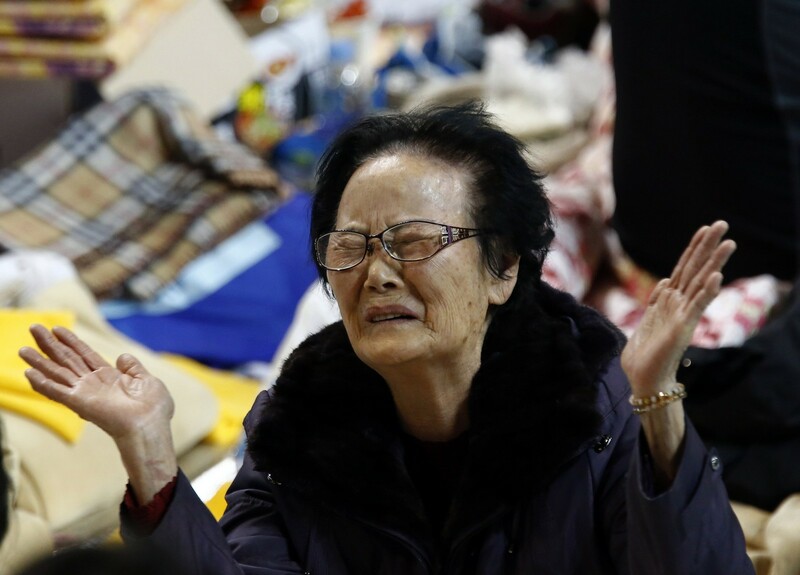 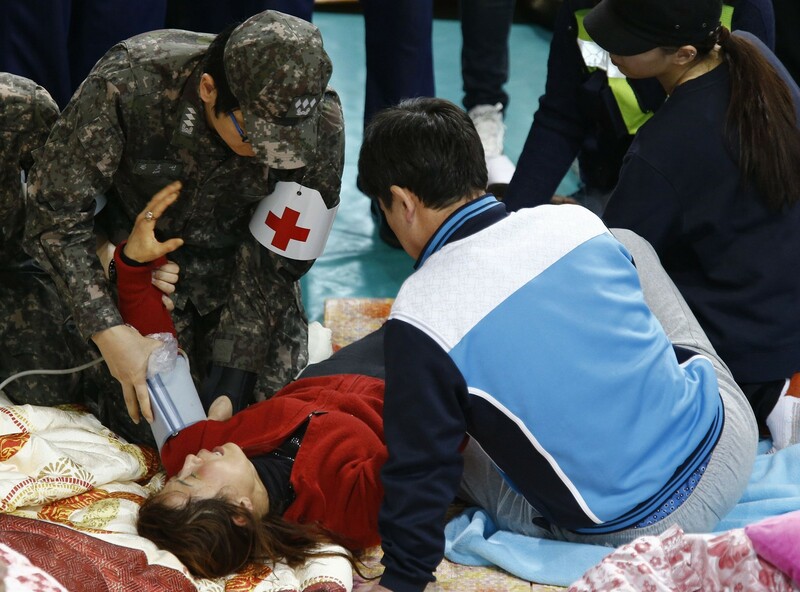 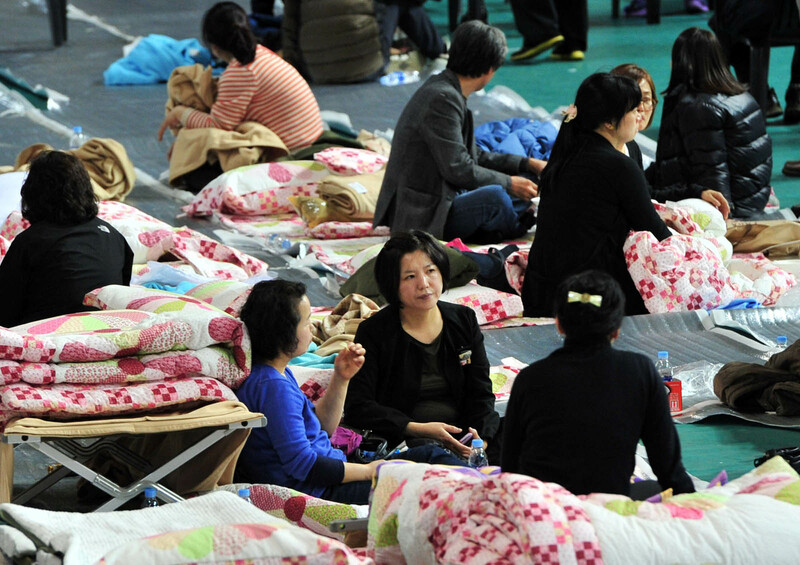 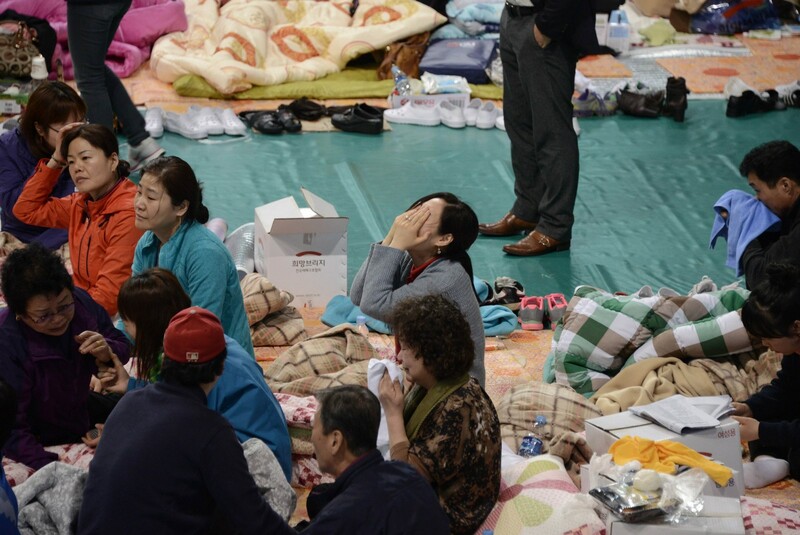 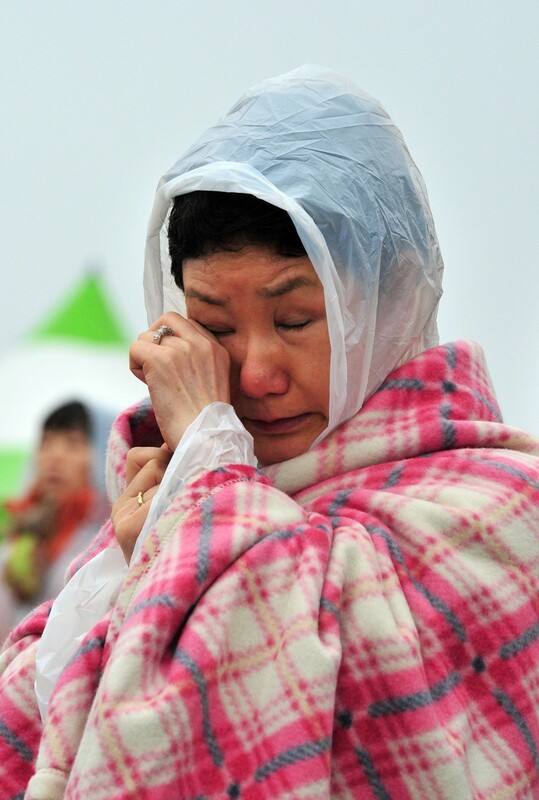 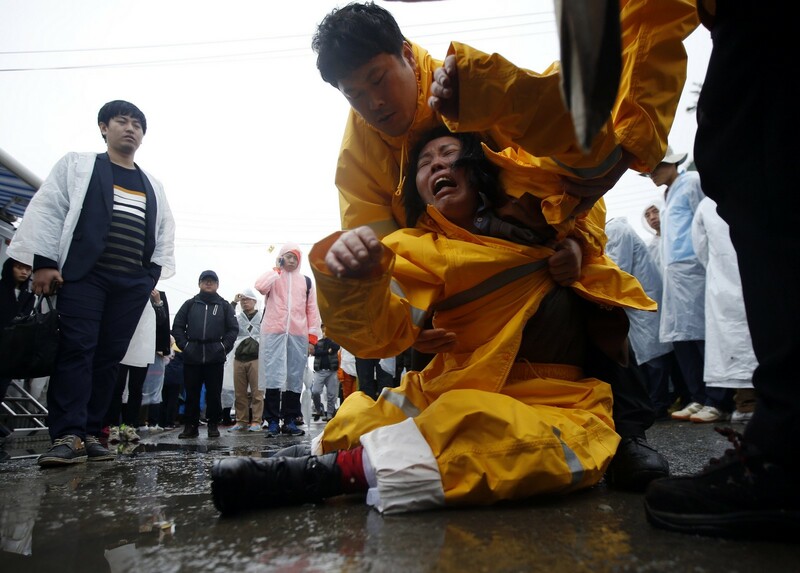 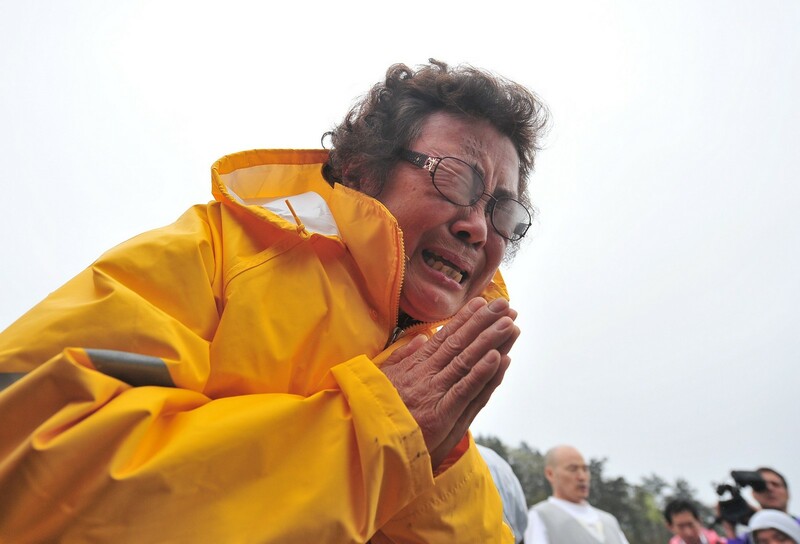 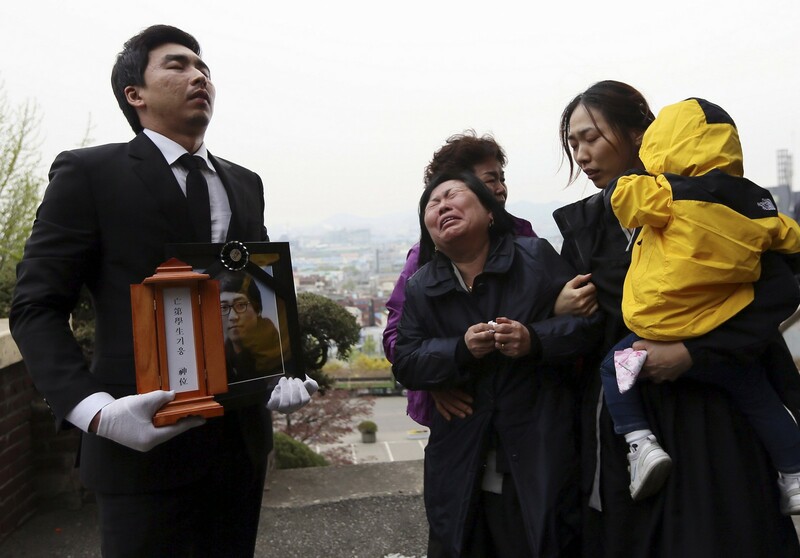 Twenty-nine people have been confirmed dead in the disaster, but 273 are still missing. 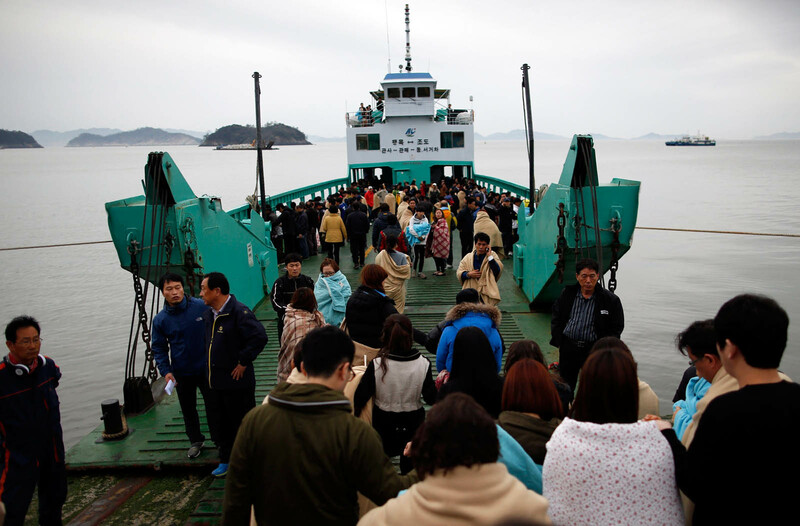 Lee, 69, confirmed statements Friday by investigative prosecutors that he was not at the helm of the ferry when it first ran into trouble. 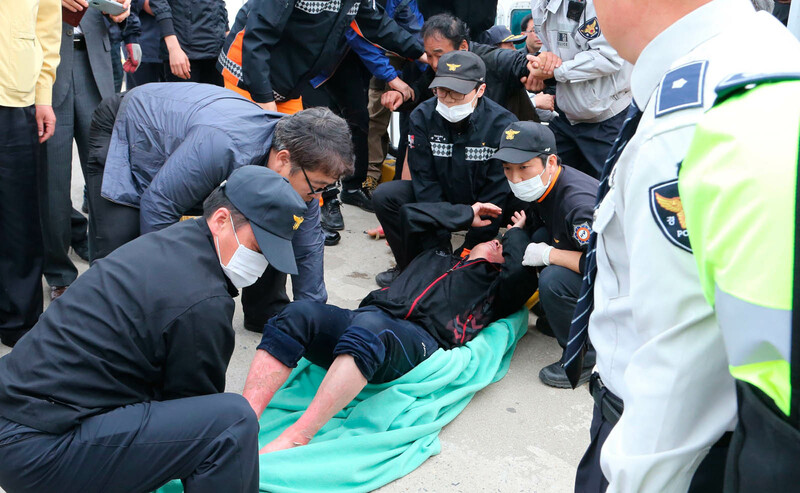 "It happened as I was coming back after a quick visit to the bedroom for personal reasons," he said, denying any suggesting that he had been intoxicated. 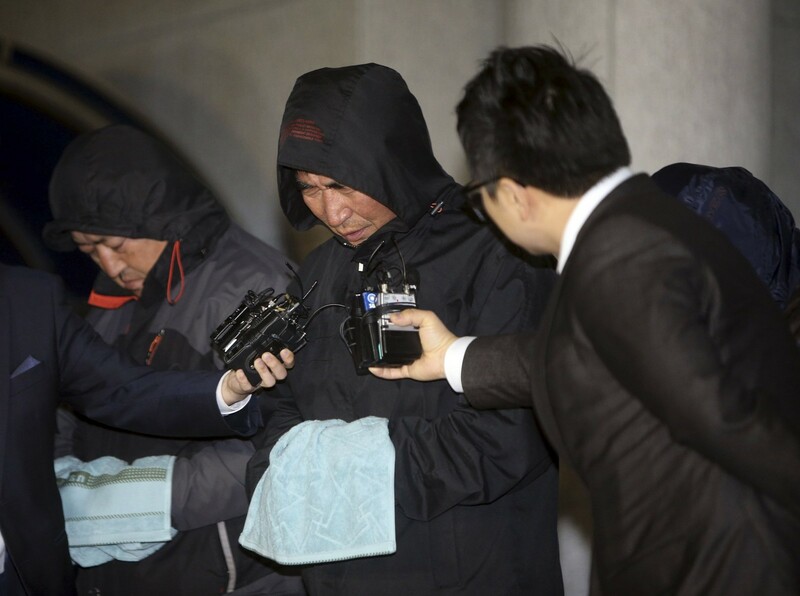 "I did not drink," he said. 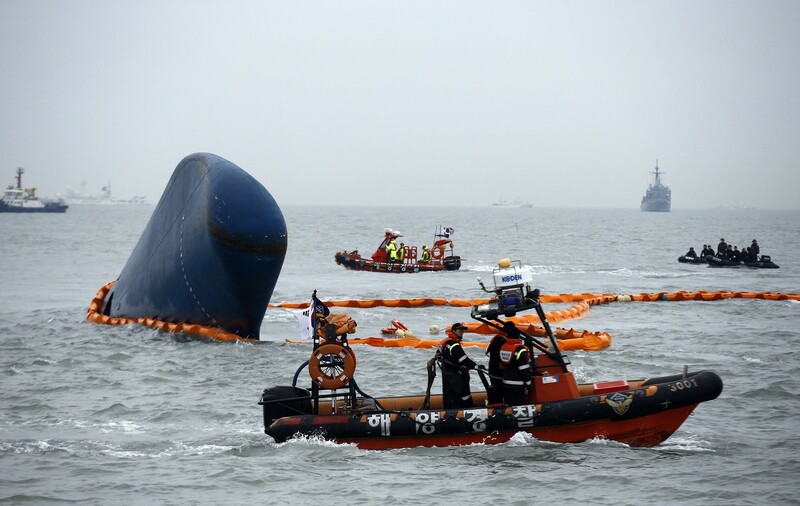 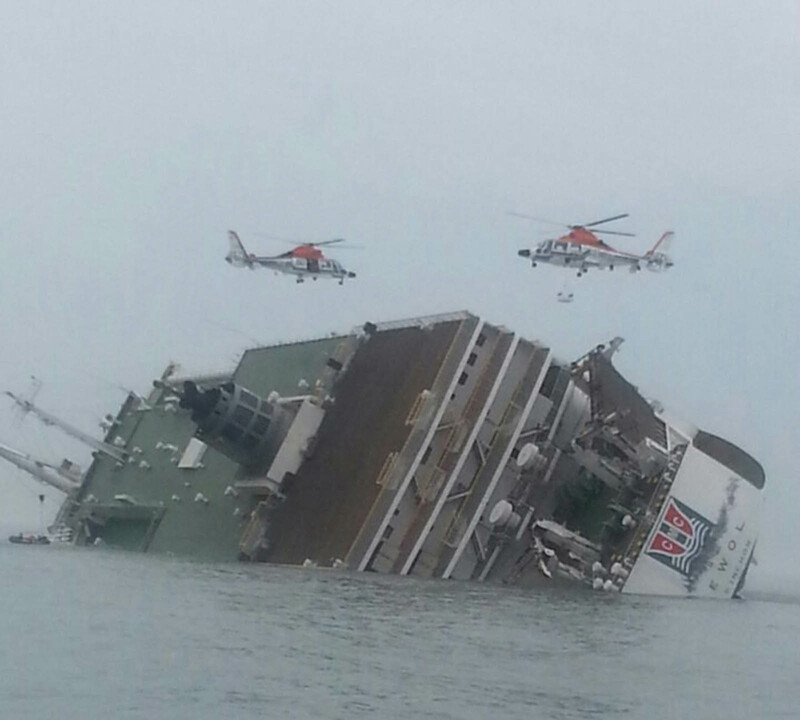 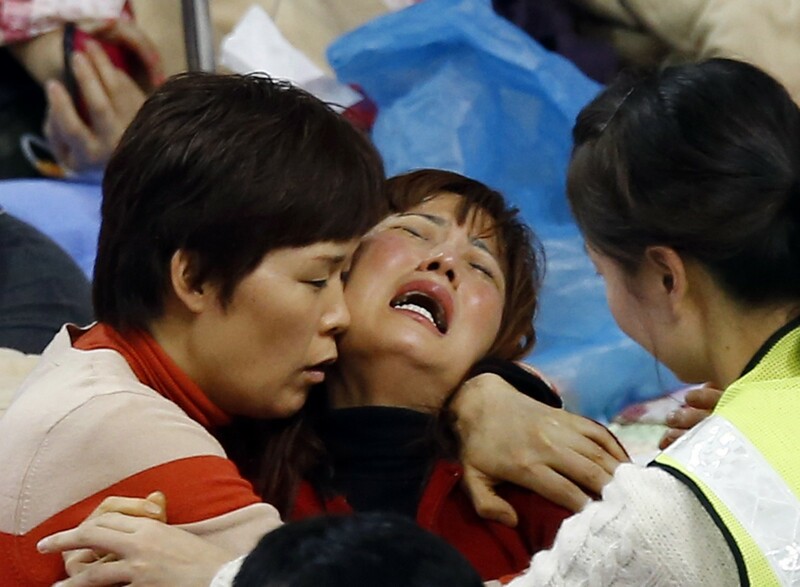 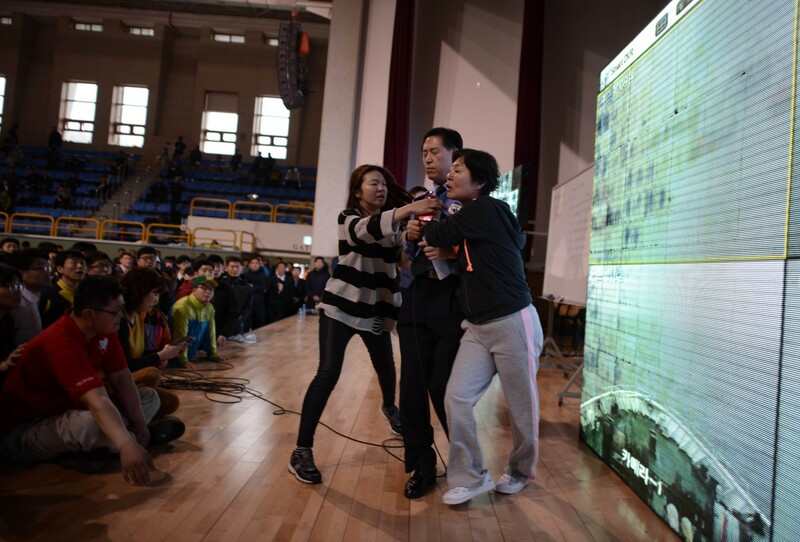 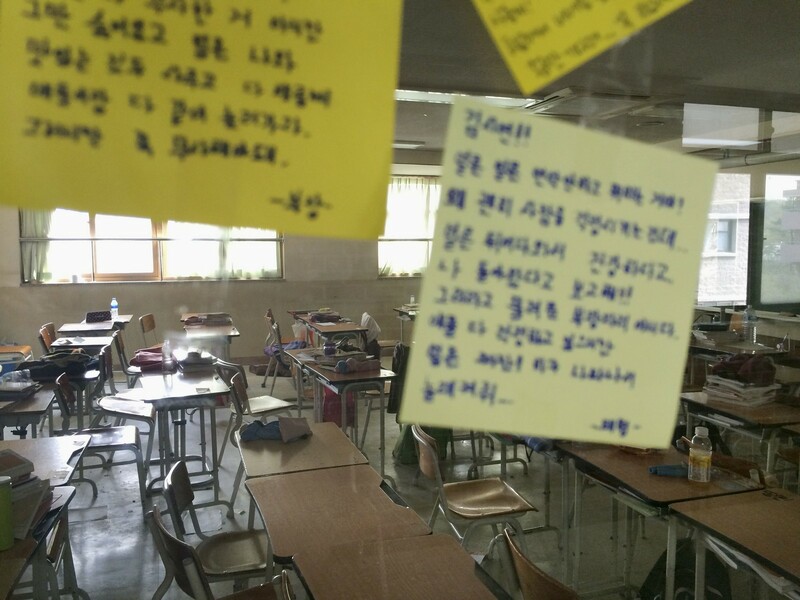 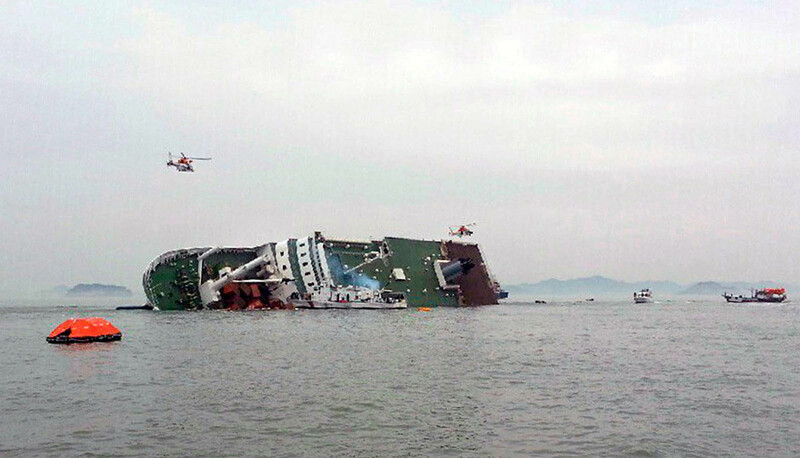 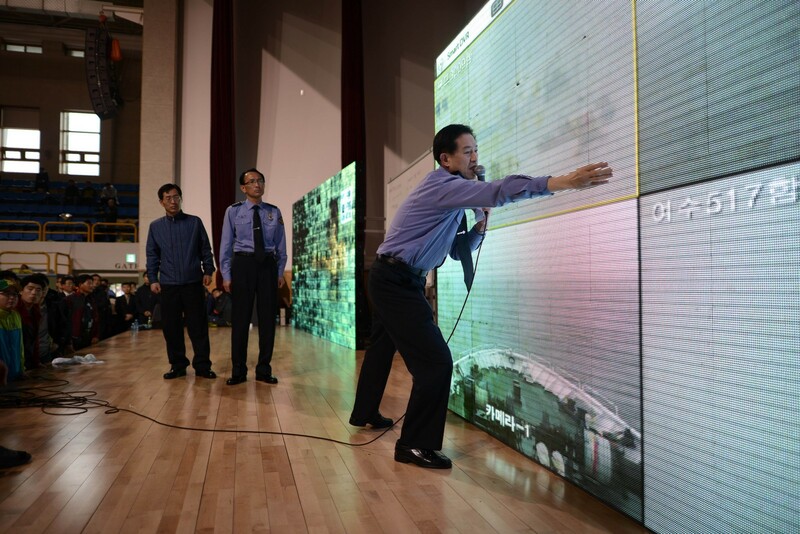 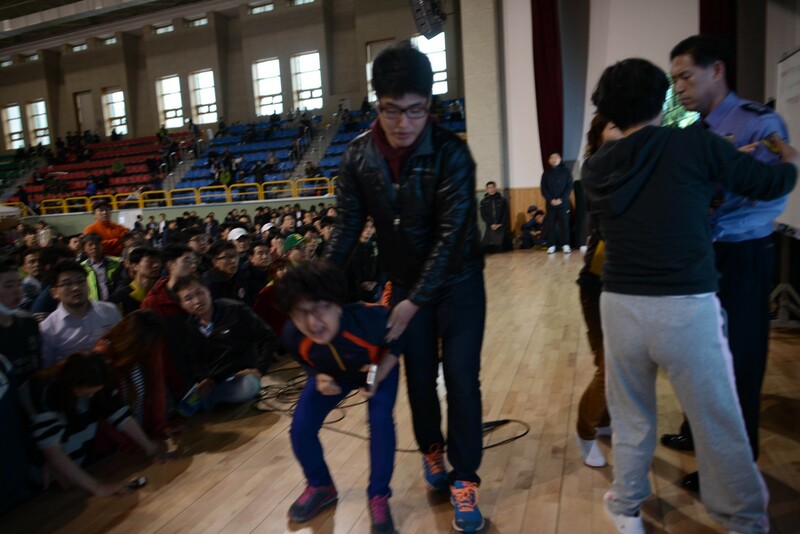 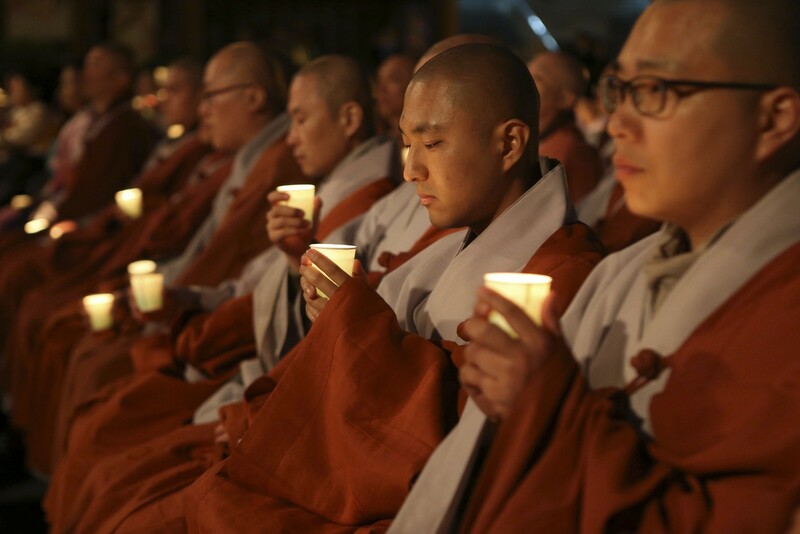 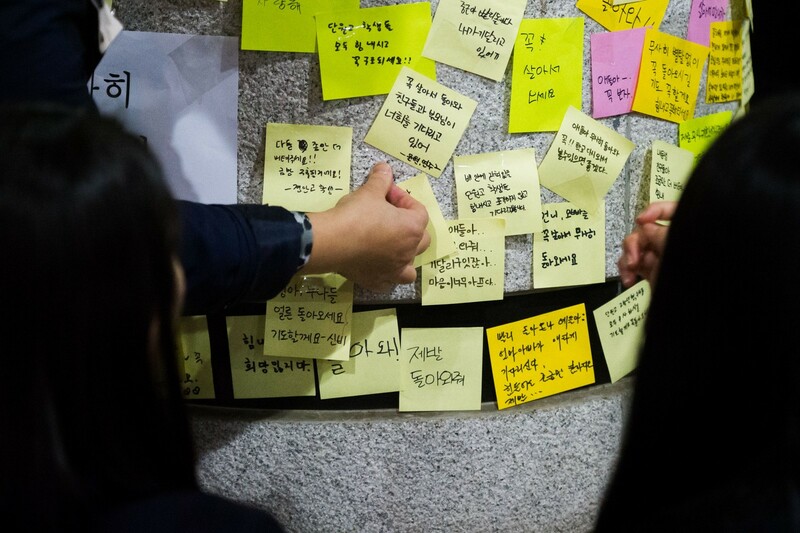 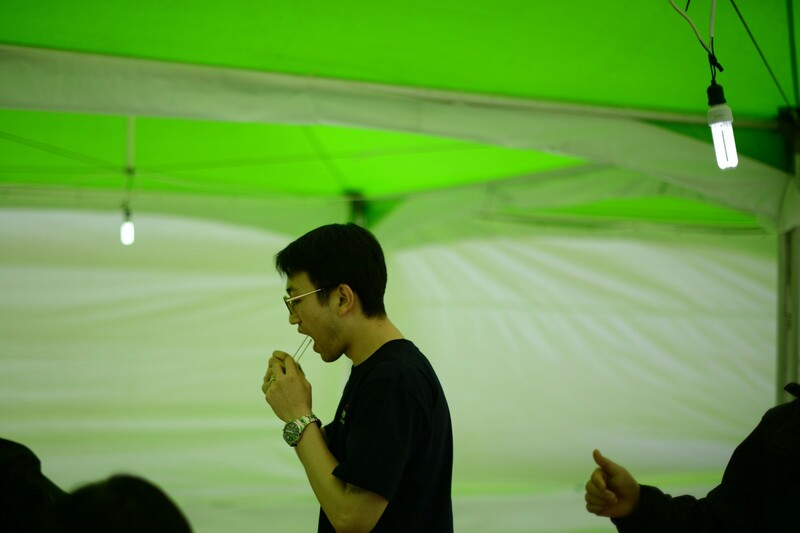 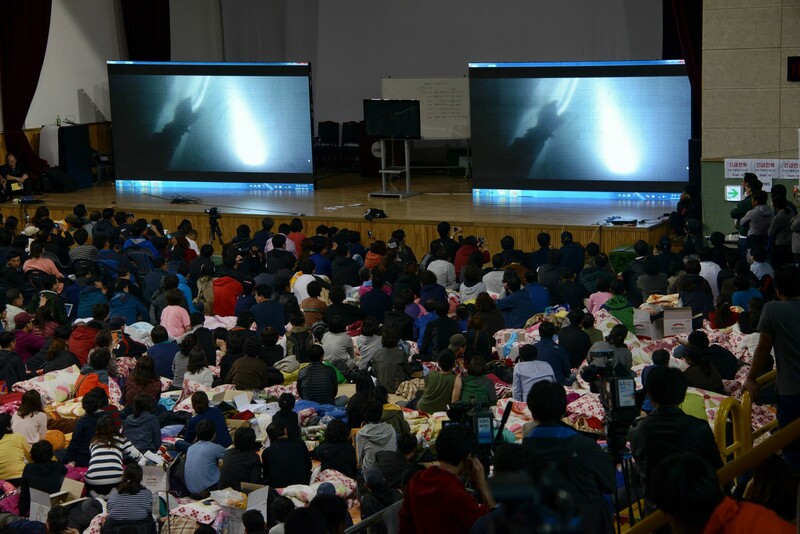 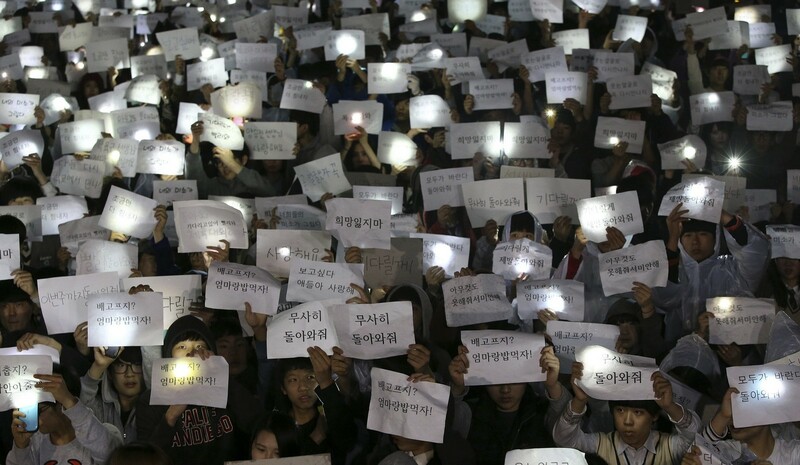 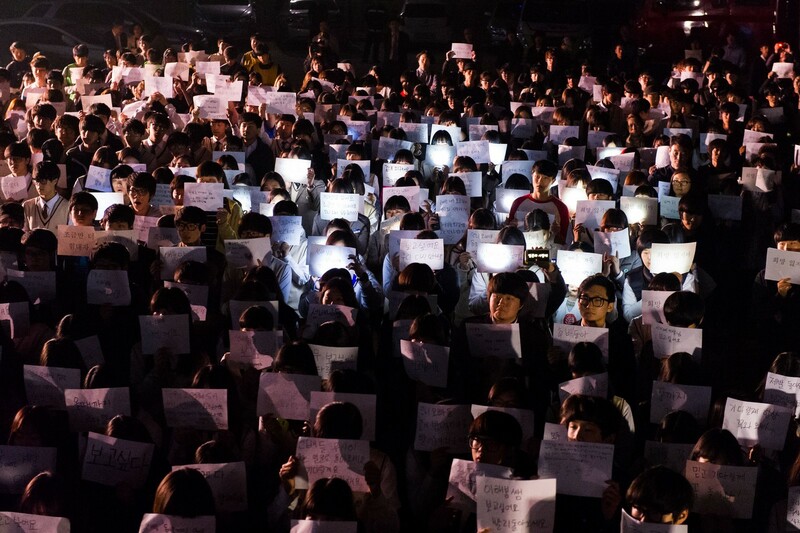 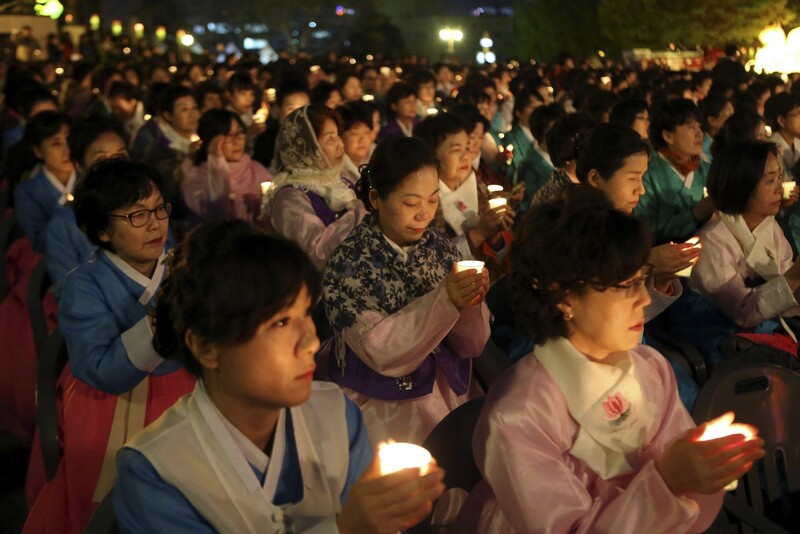 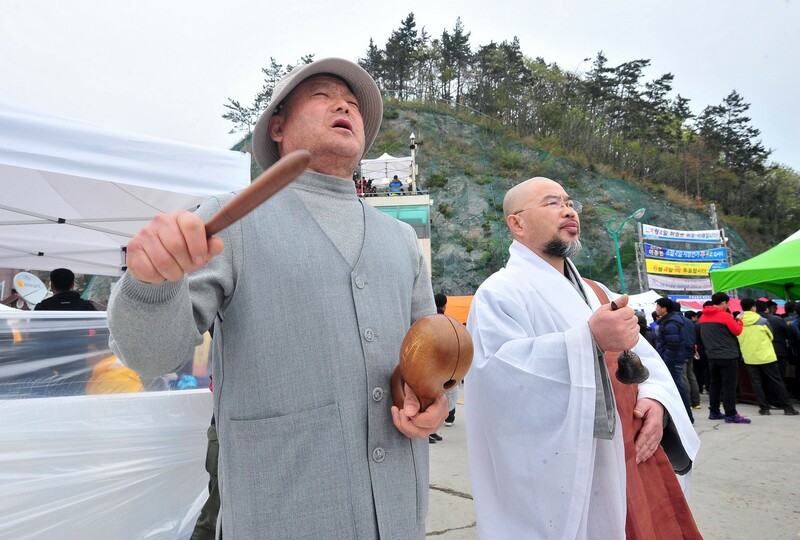 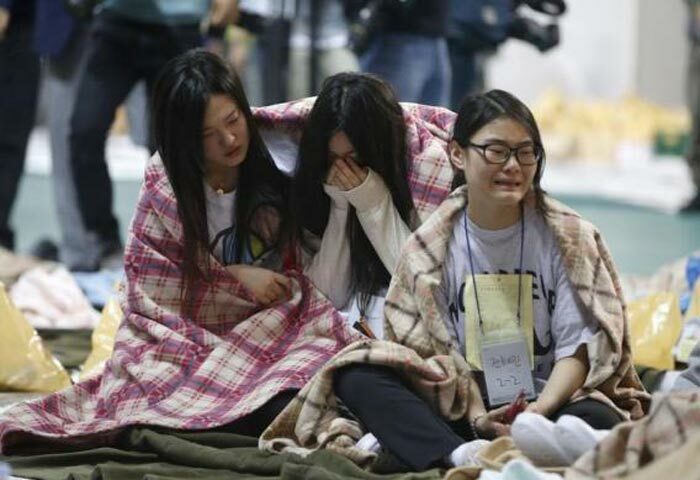 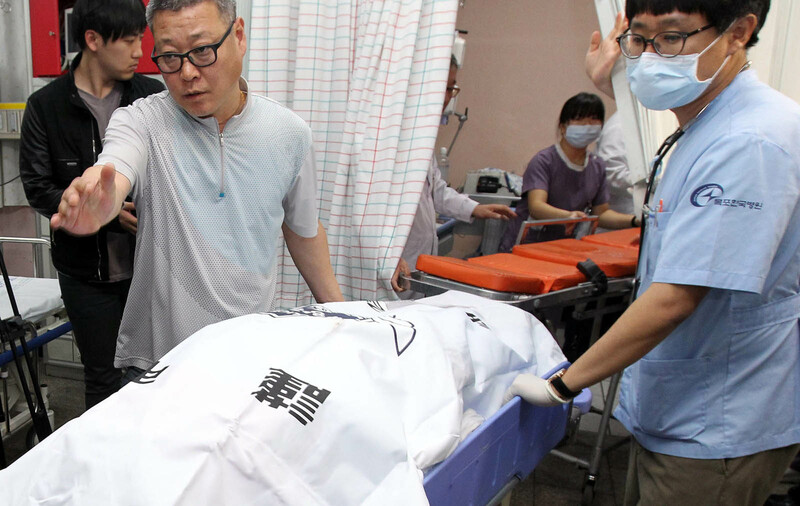 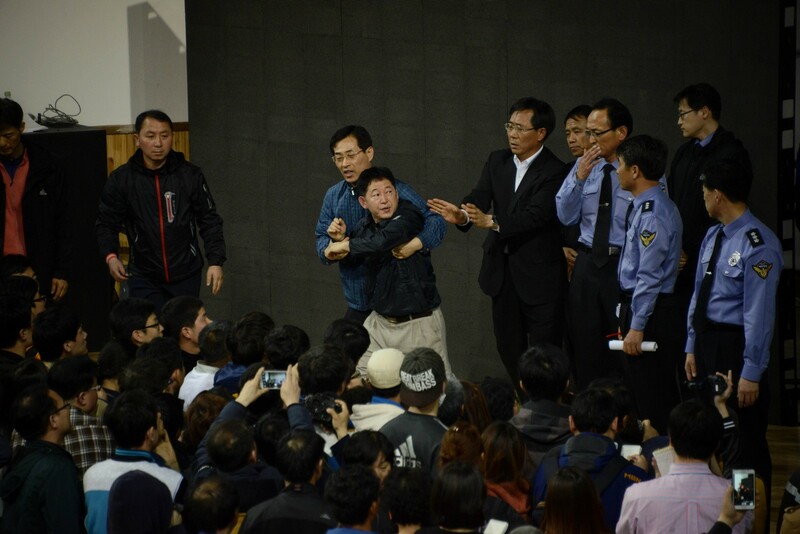 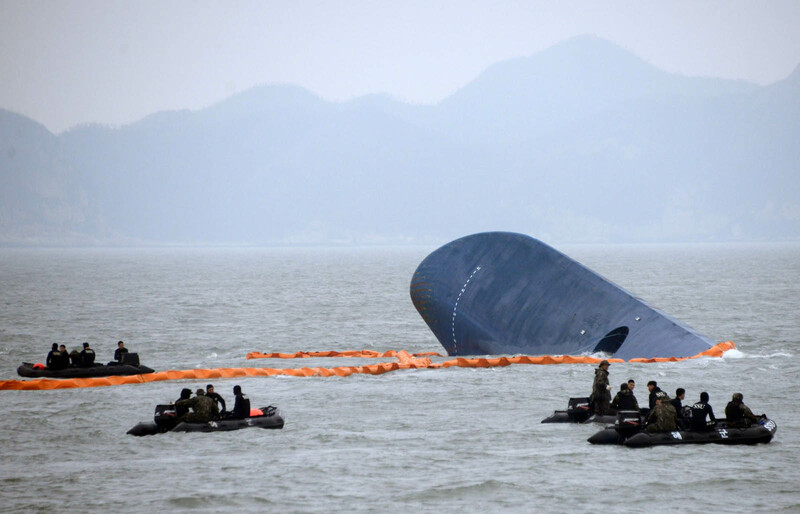 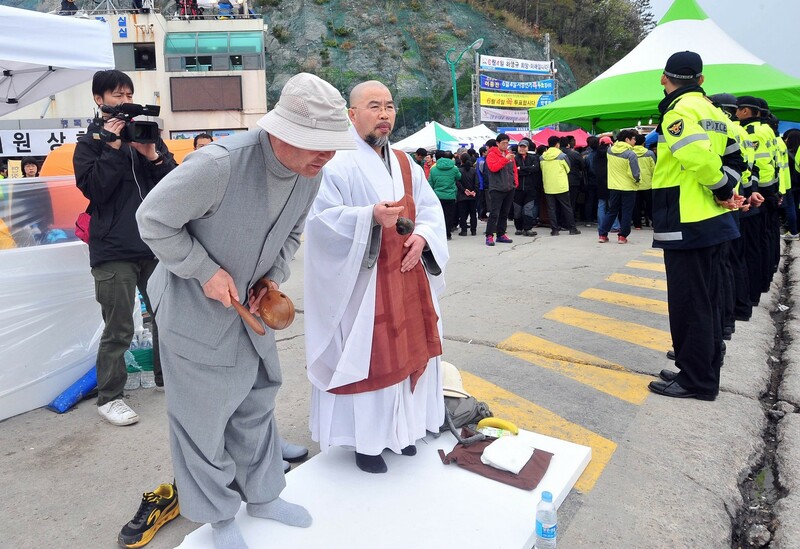 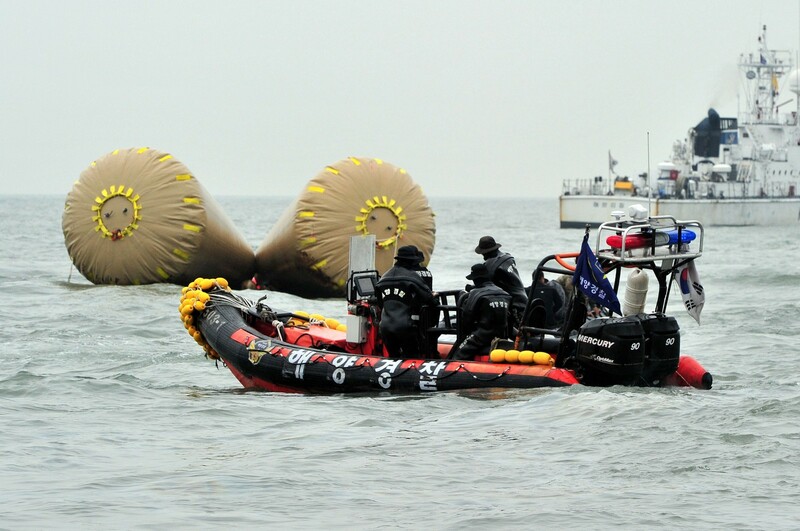 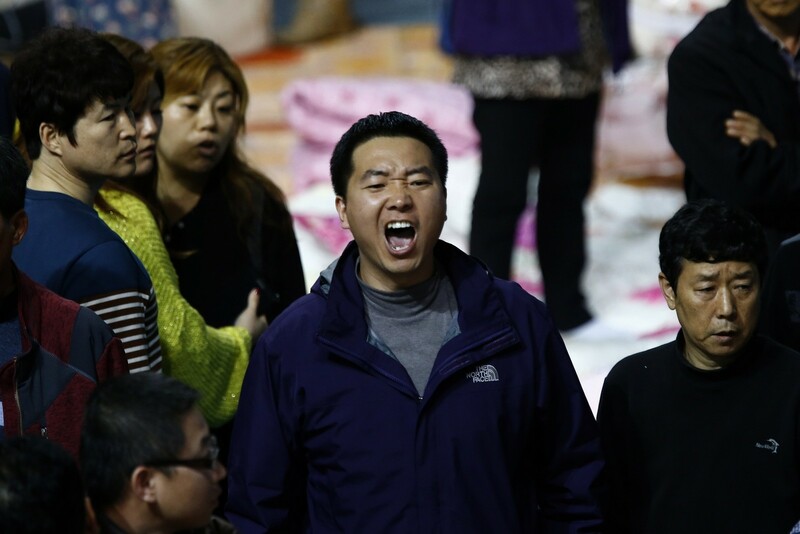 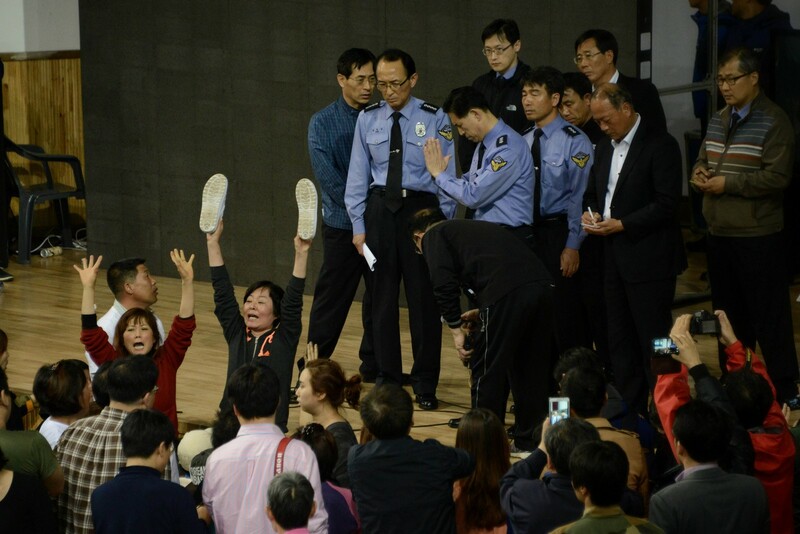 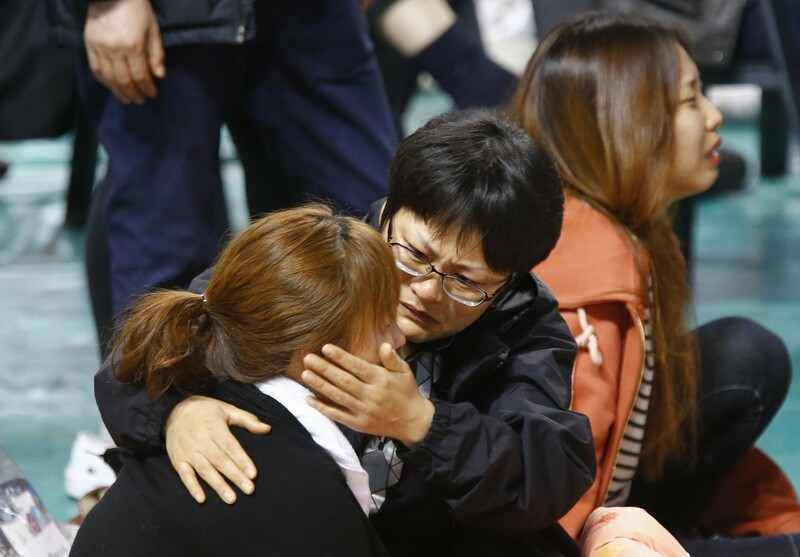 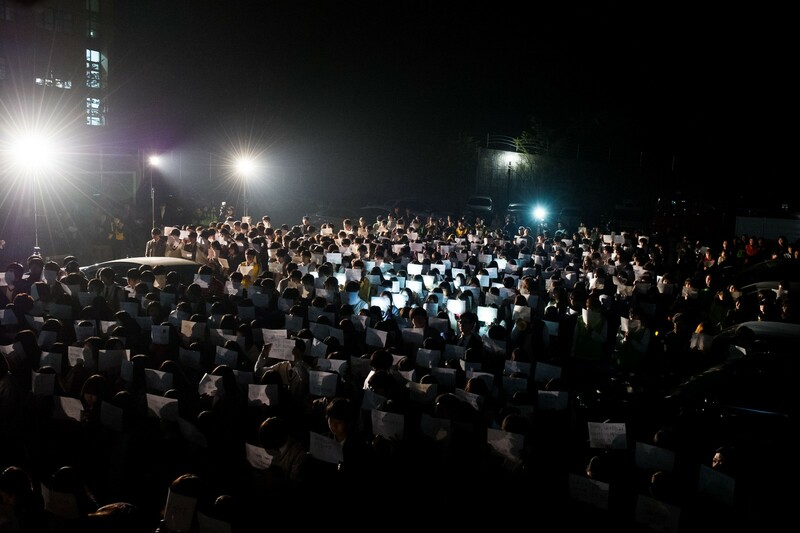 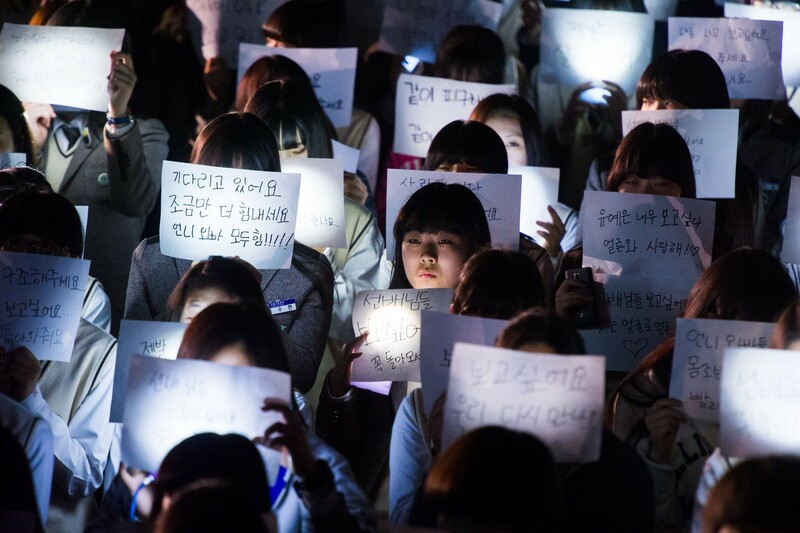 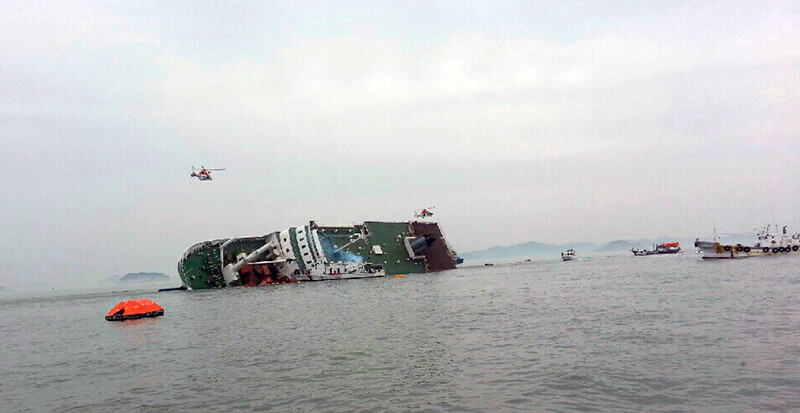 His comments offered no fresh insight into the chain of events that caused the 6,825-tonne Sewol to sink. 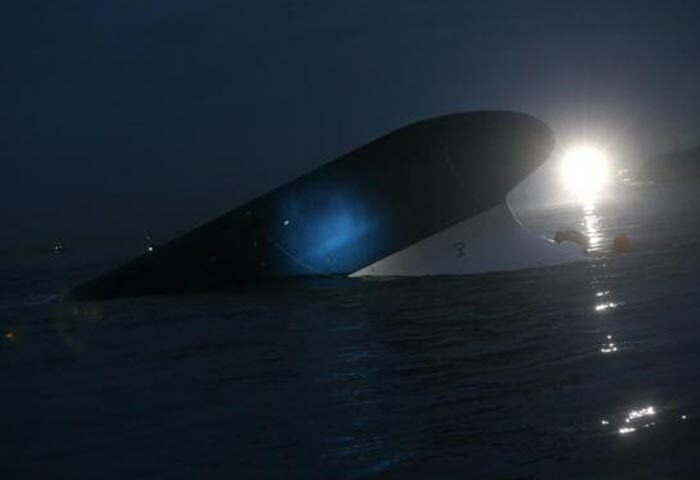 Some experts believe a tight turn could have dislodged the heavy cargo manifest - including more than 150 vehicles - and destabilised the vessel, causing it to list heavily and then capsize. 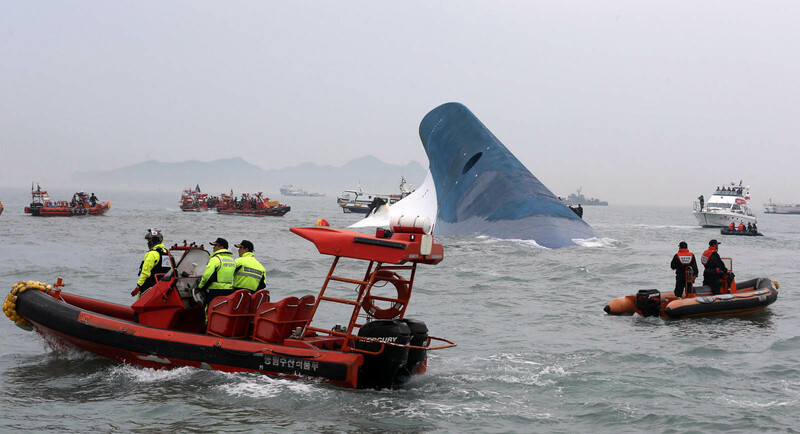 But others suggested the turn might have been caused by a collision with a rock or other submerged object. 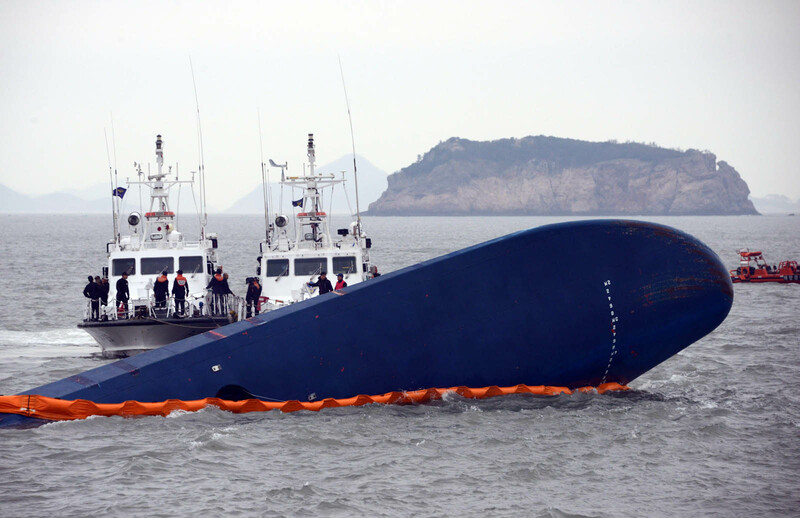 Investigators said the third officer was steering when the accident happened. 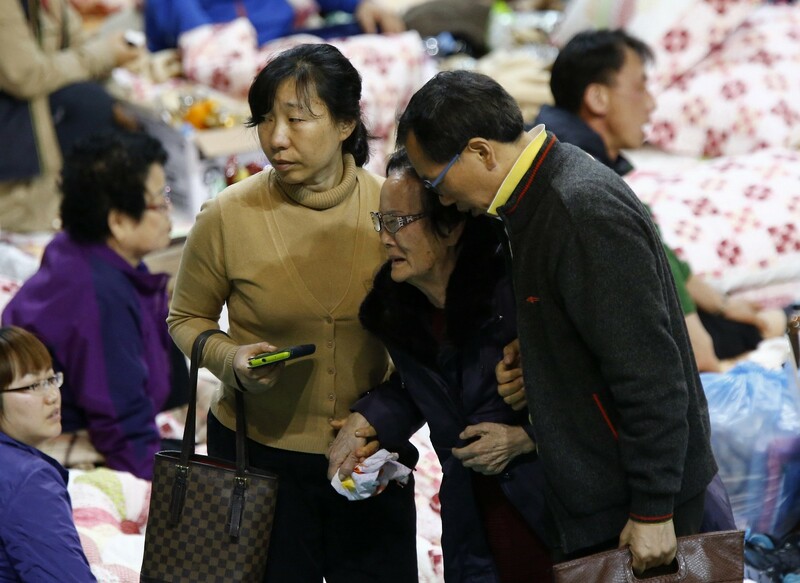 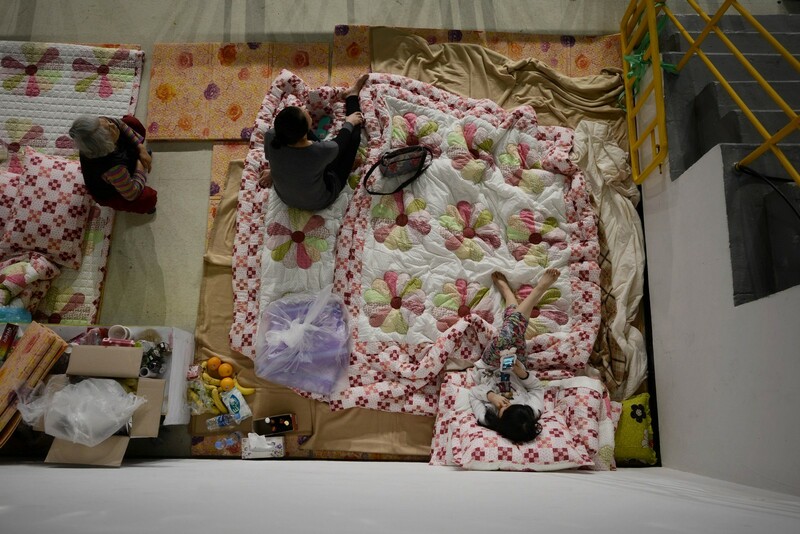 Lee acknowledged the charges brought against him and apologised to the victims of the disaster and their relatives. 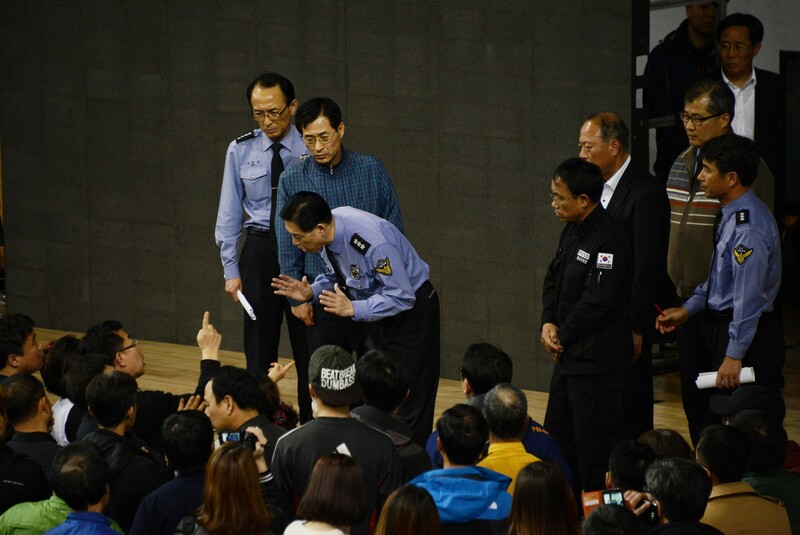 "I sincerely apologise to people and the bereaved families for stirring up trouble," he said.